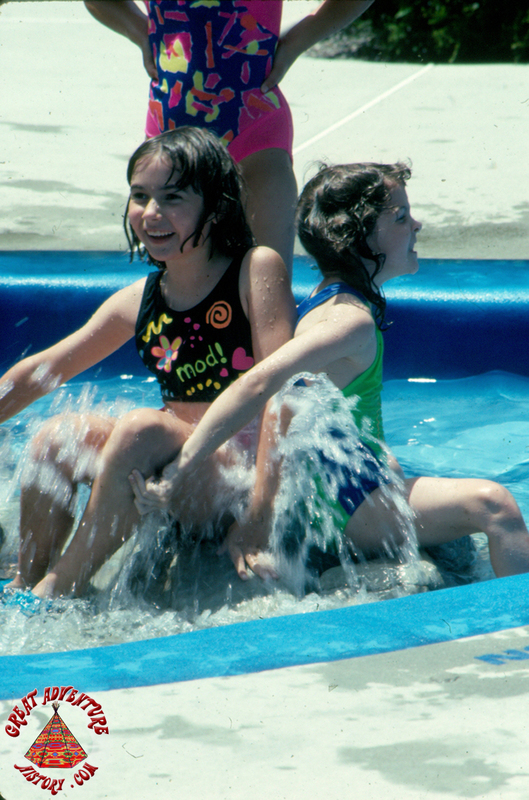 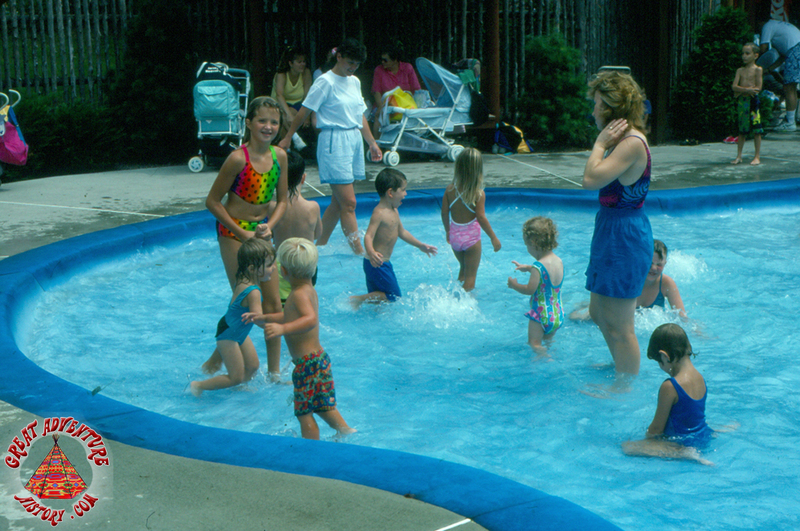 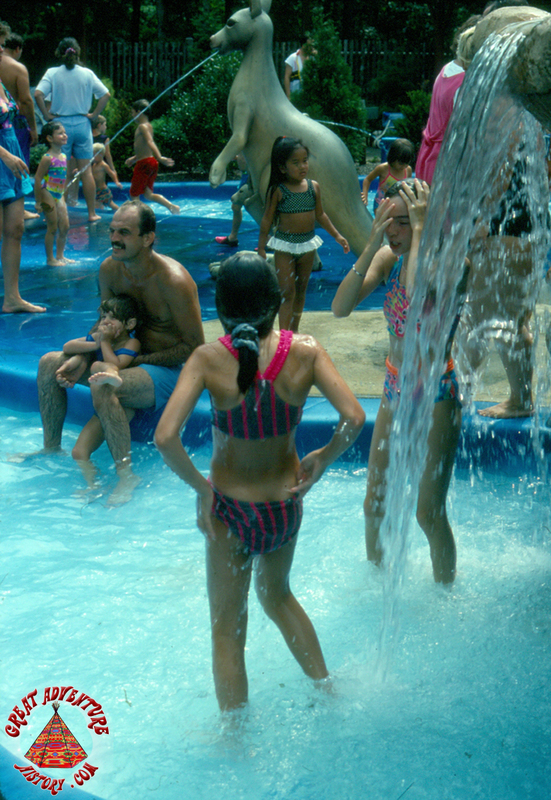 Through the 1980's, water parks started to become more popular with thrill seeking guests and theme parks began to invest in new water based attractions in an effort to compete. 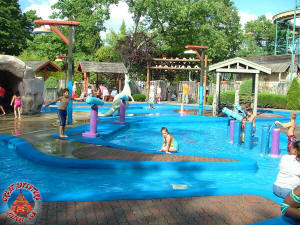 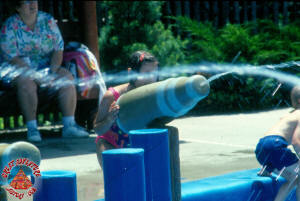 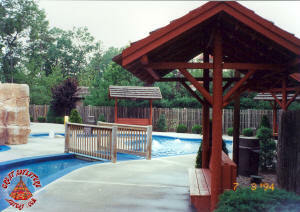 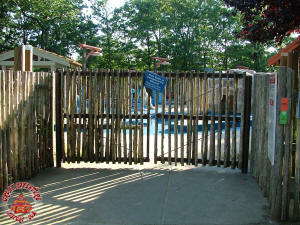 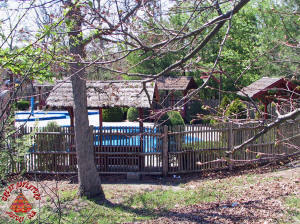 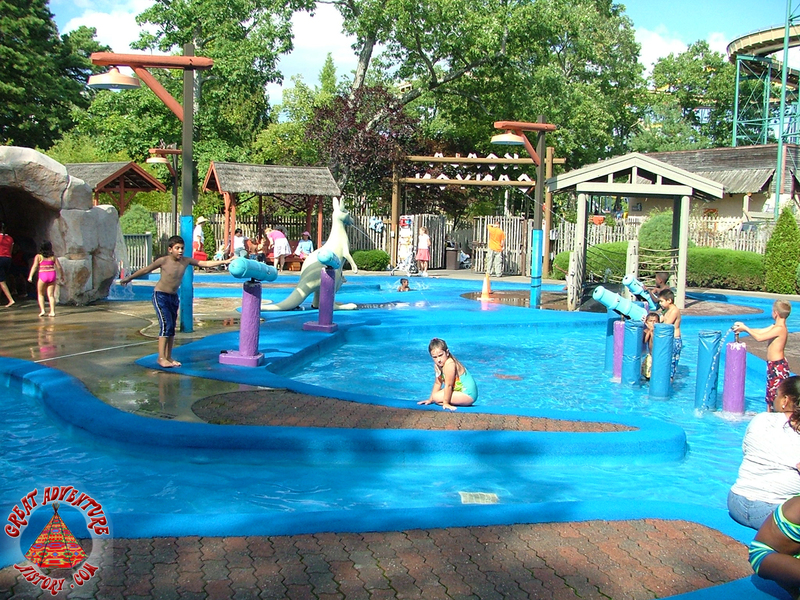 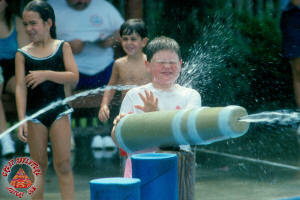 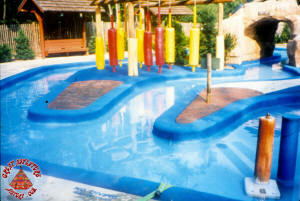 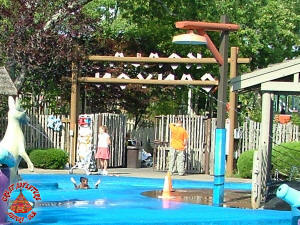 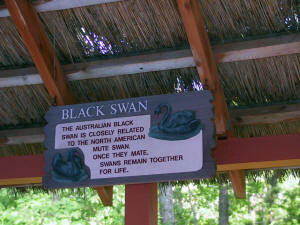 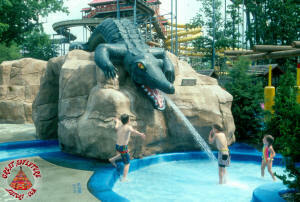 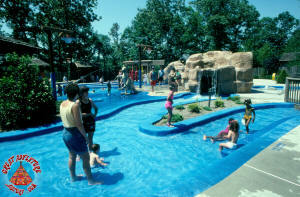 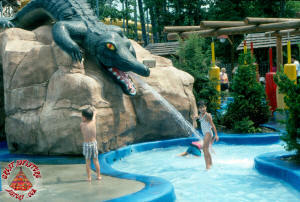 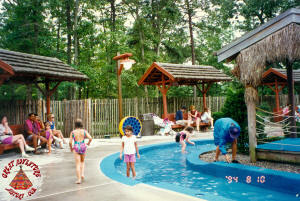 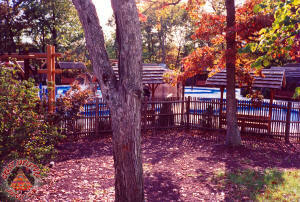 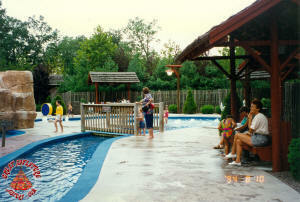 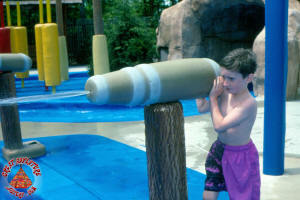 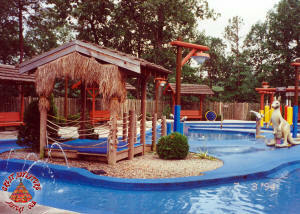 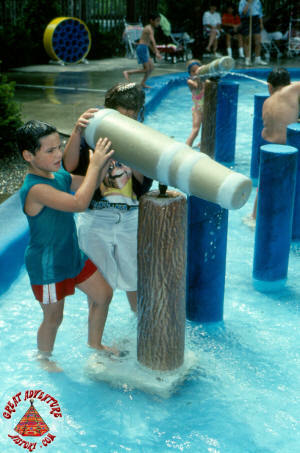 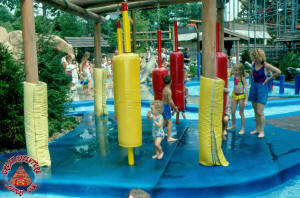 Some parks built full-scale water parks while others opted to add new slide type attractions to their arsenal of rides. 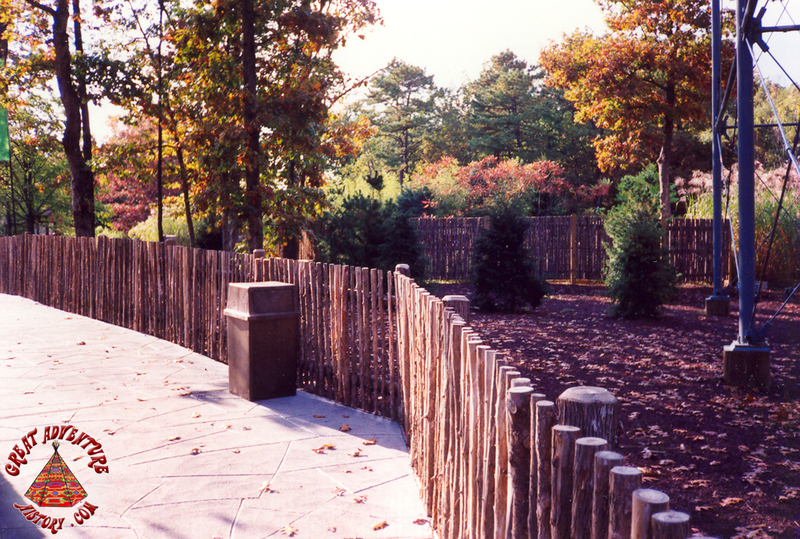 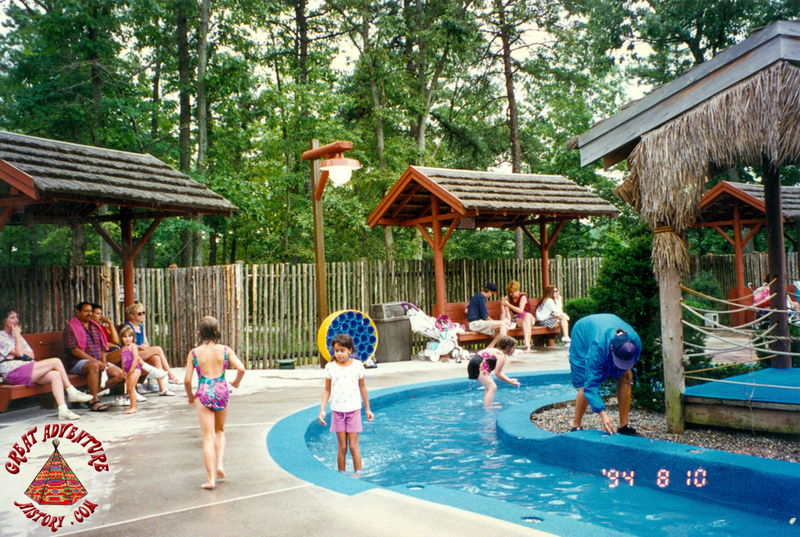 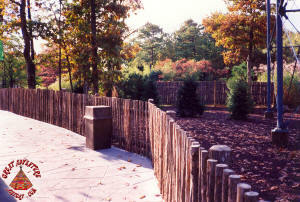 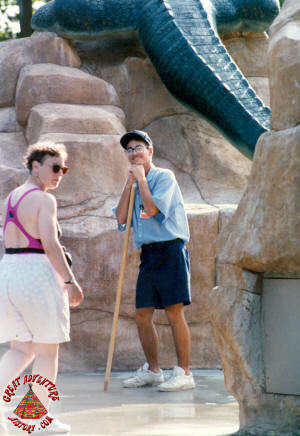 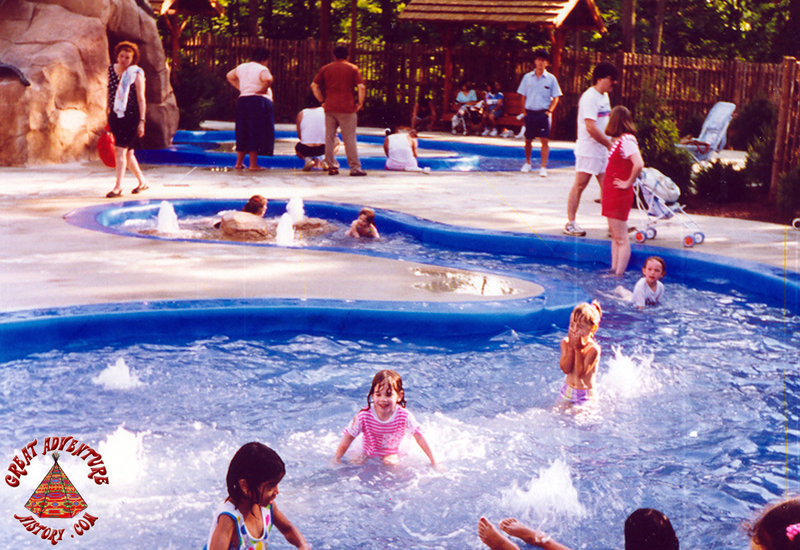 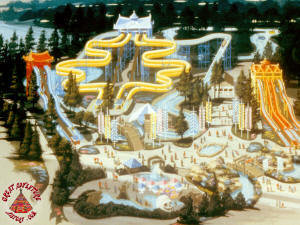 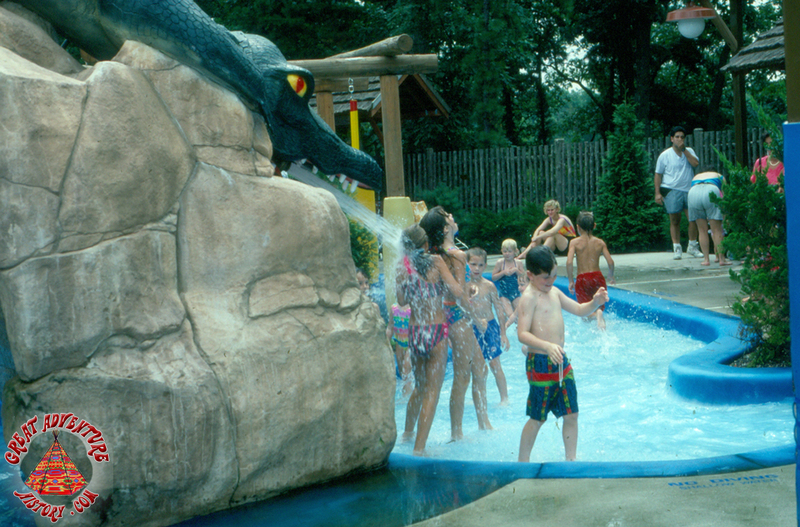 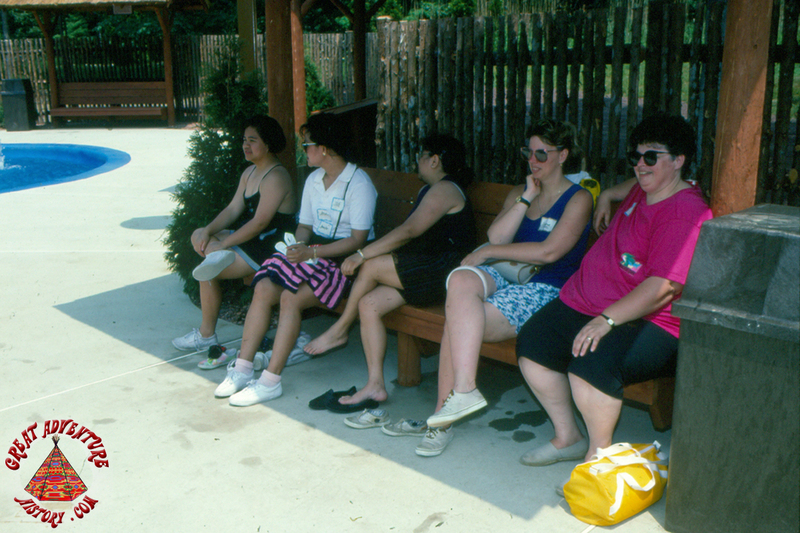 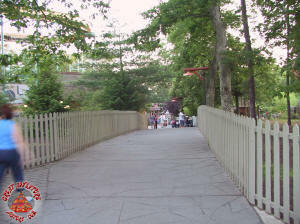 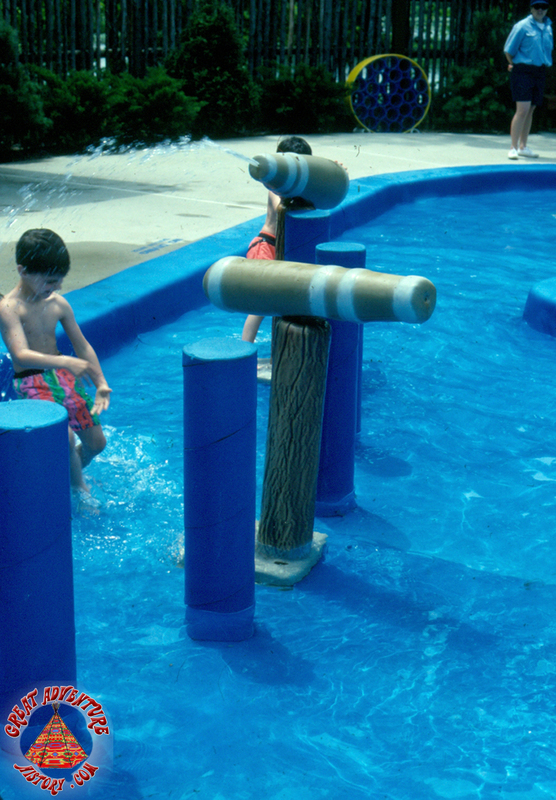 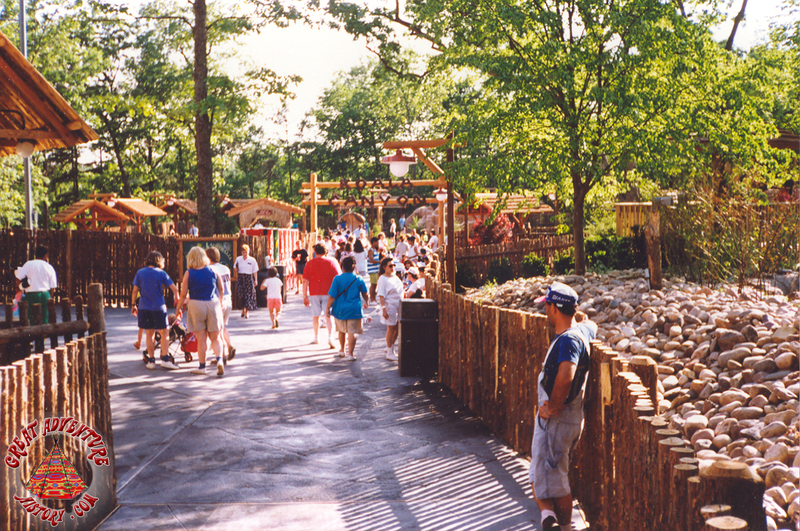 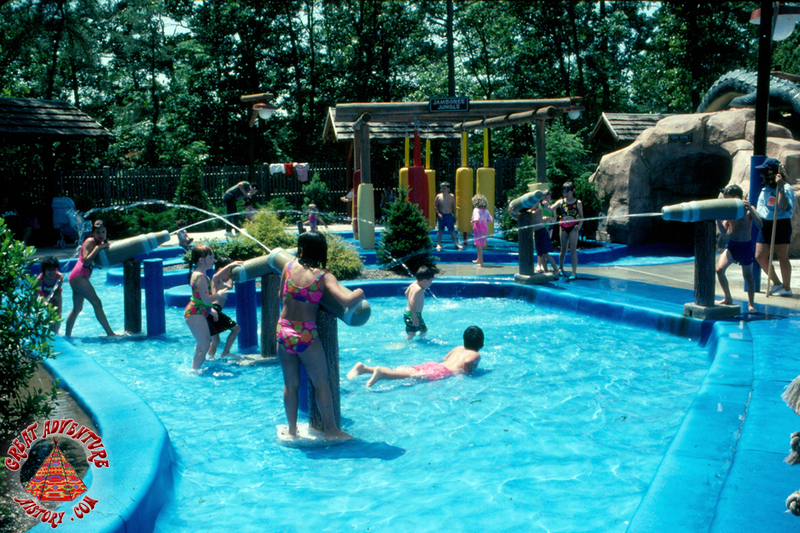 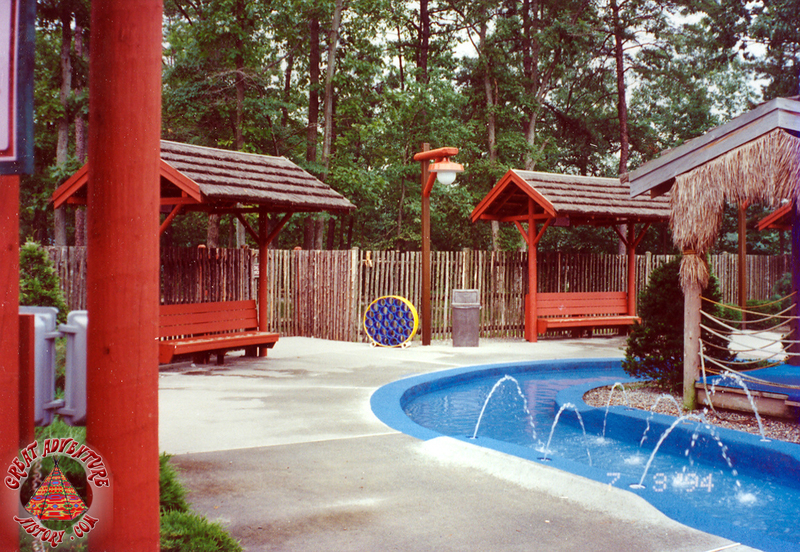 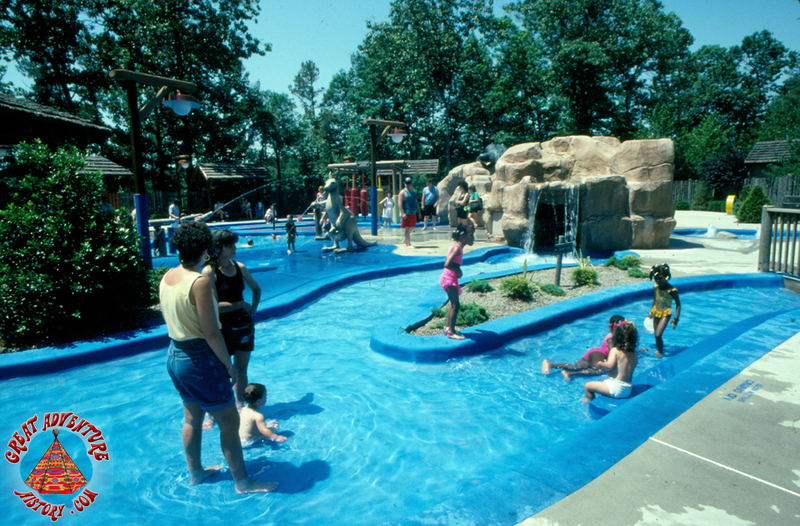 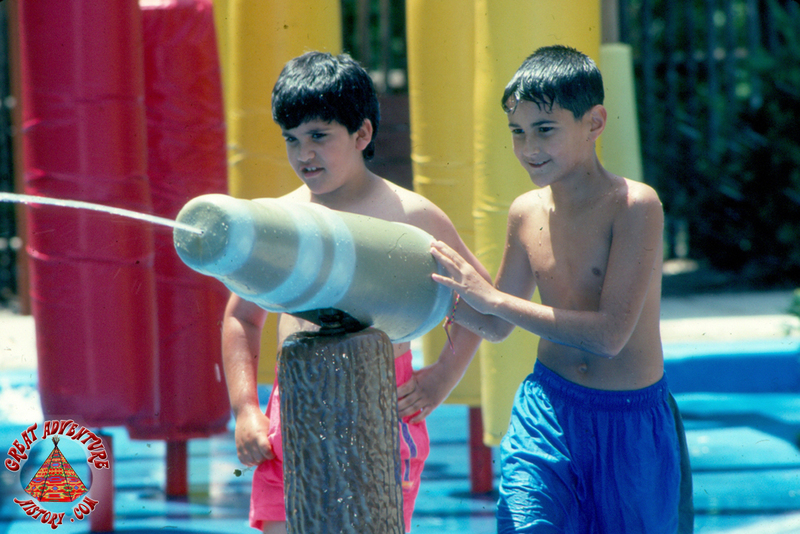 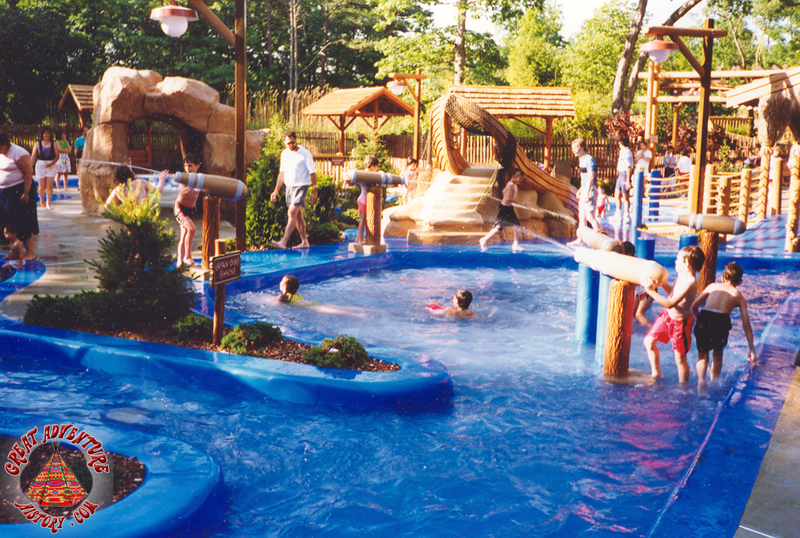 For the 1991 season, Six Flags Great Adventure introduced an entirely new themed area called Adventure Rivers. 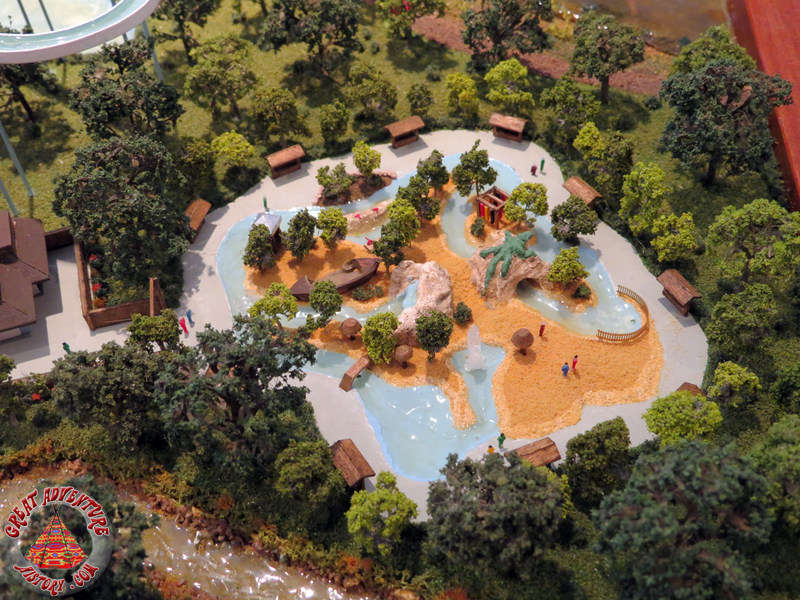 This new section incorporated two of the park's existing water rides, Roaring Rapids and the Splash Down flume ride, with a collection of brand new water attractions all of which were themed to the great rivers of the world. 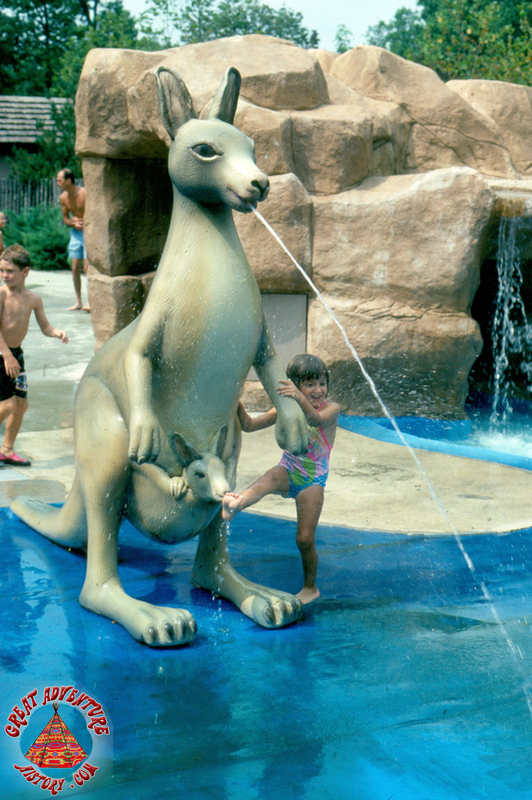 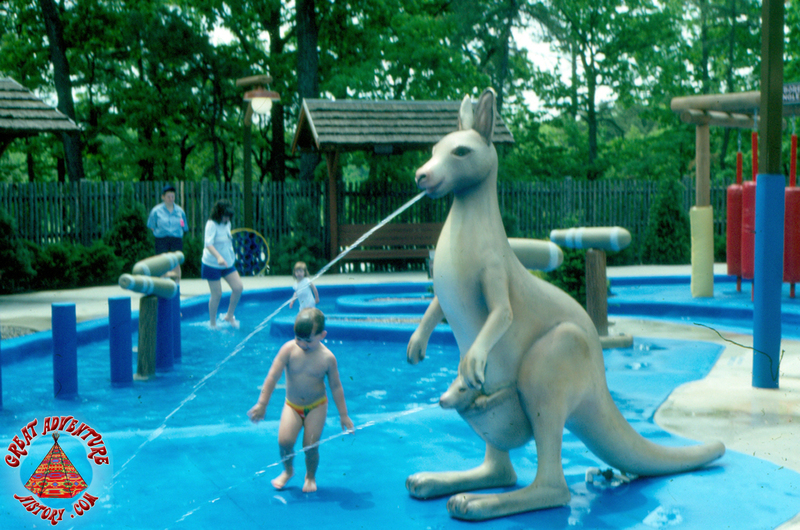 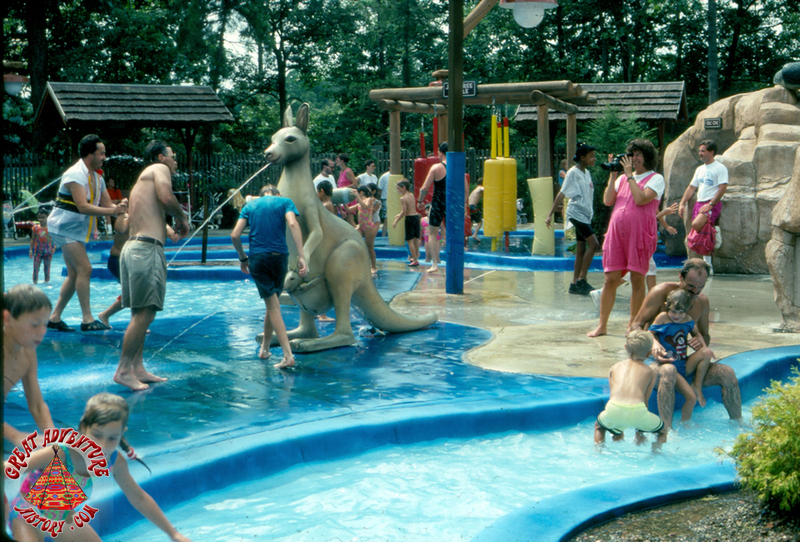 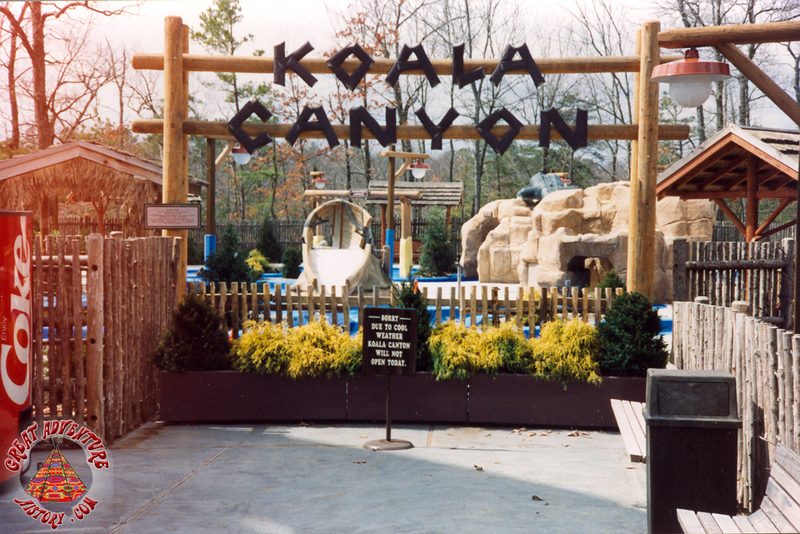 Also included in Adventure Rivers was a half acre children's water play area called Koala Canyon which was themed to Australia's Snowy River. 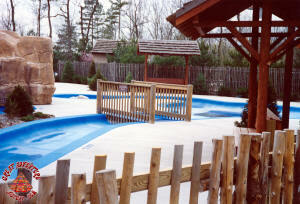 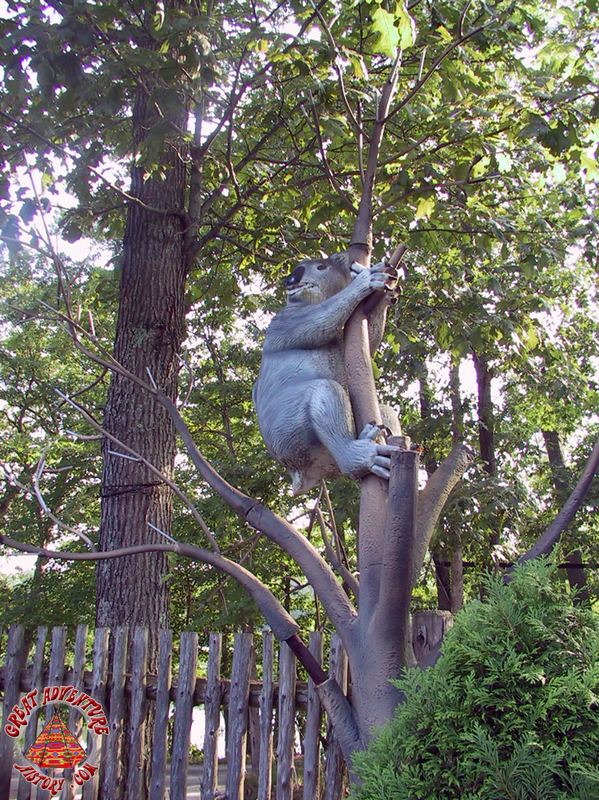 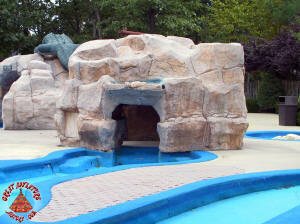 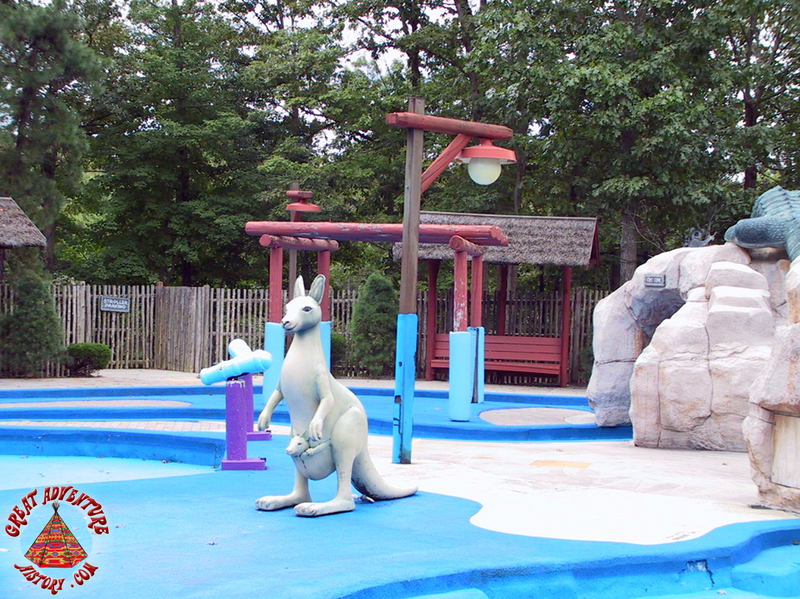 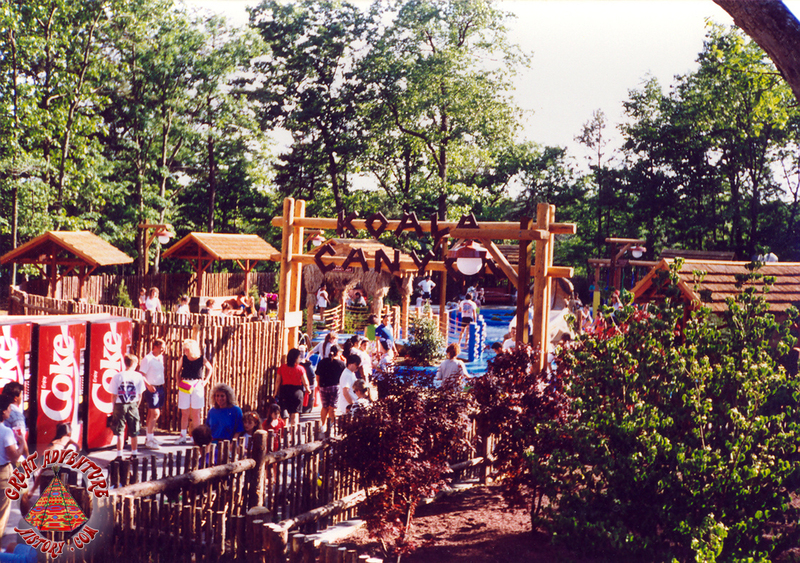 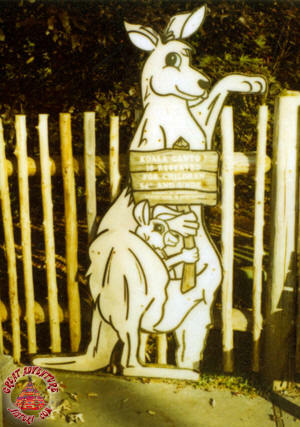 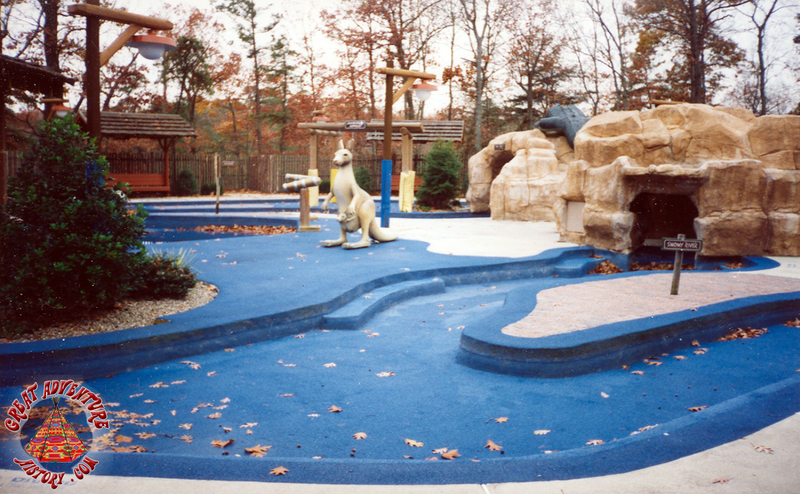 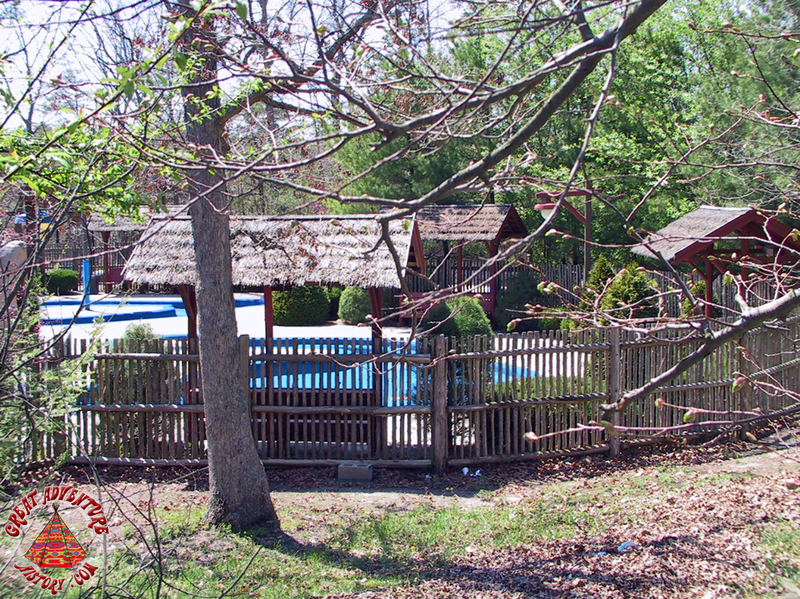 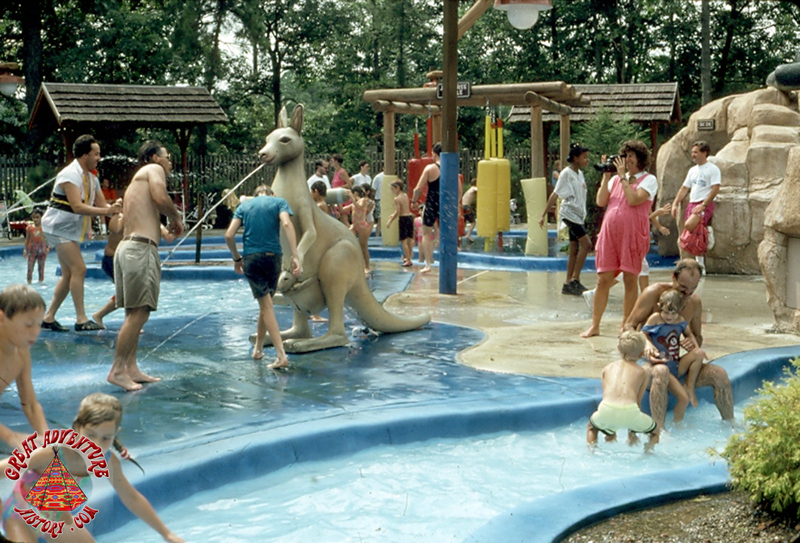 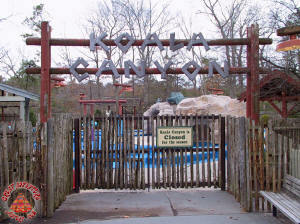 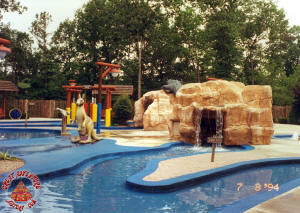 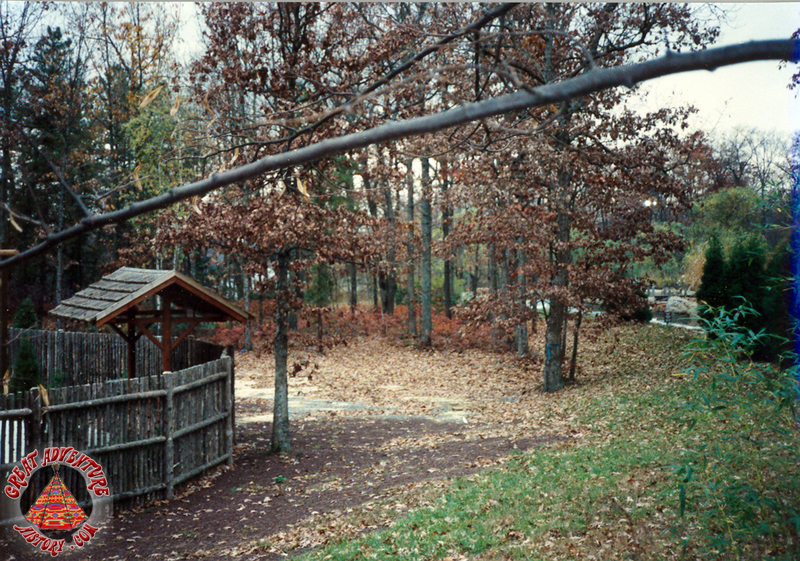 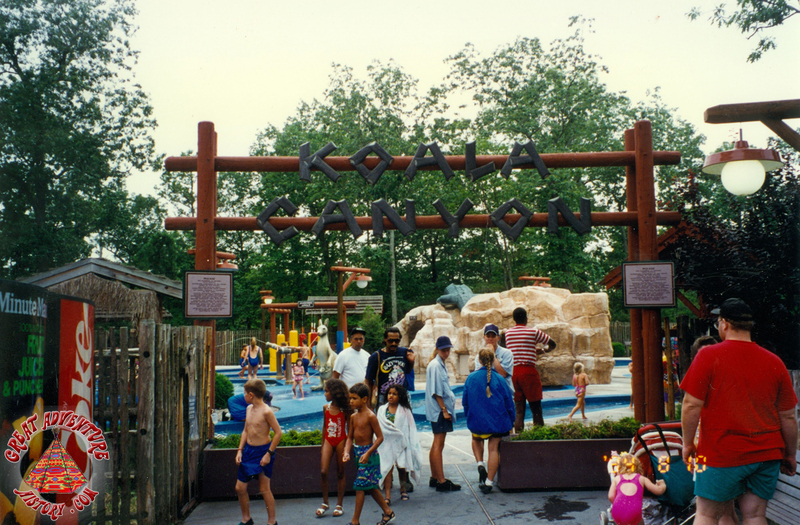 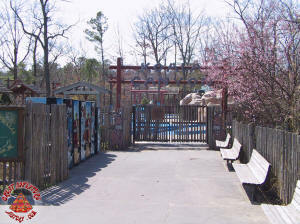 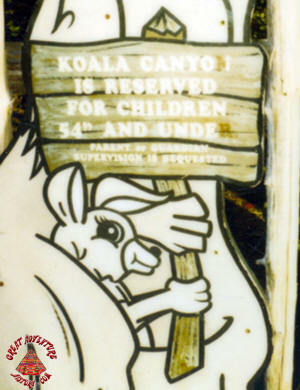 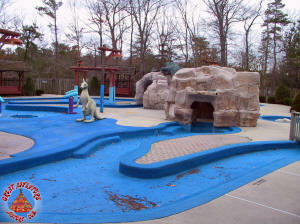 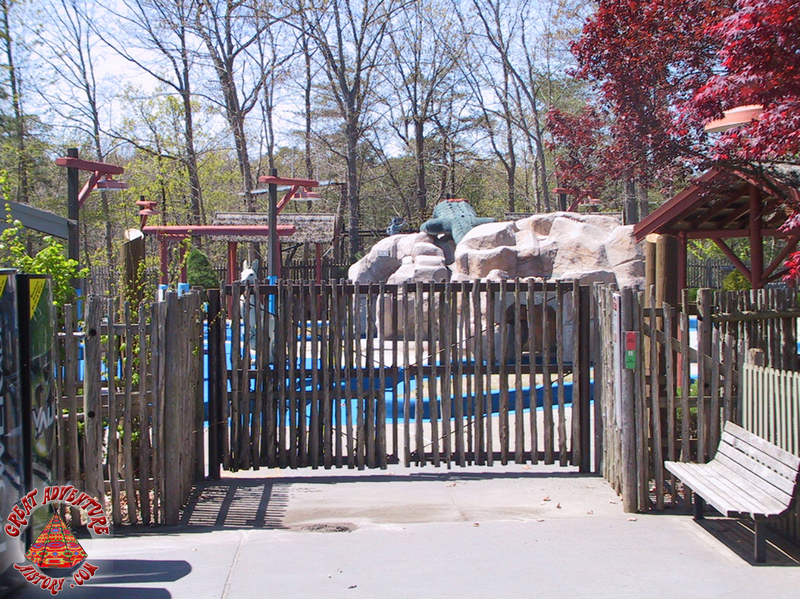 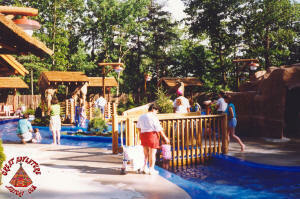 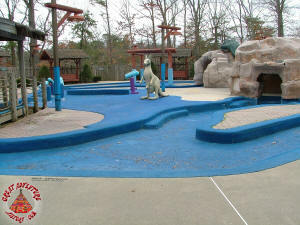 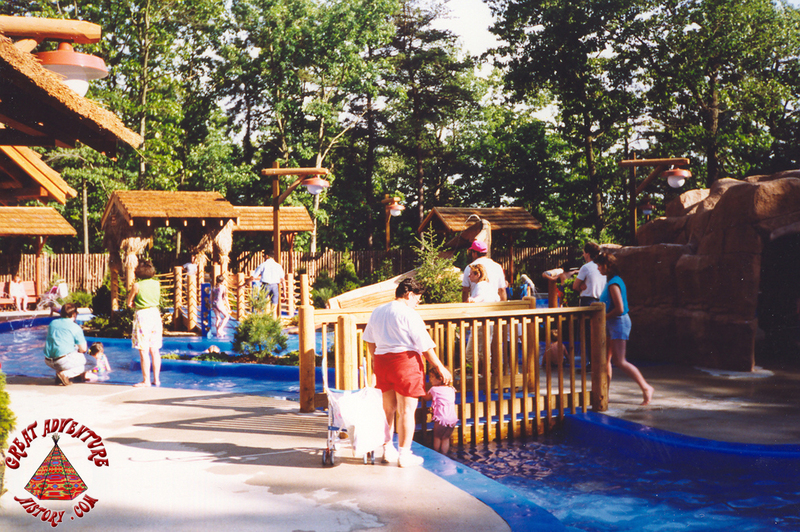 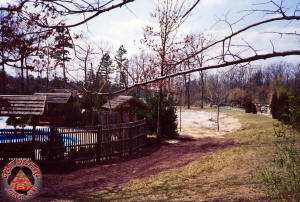 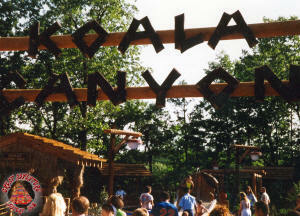 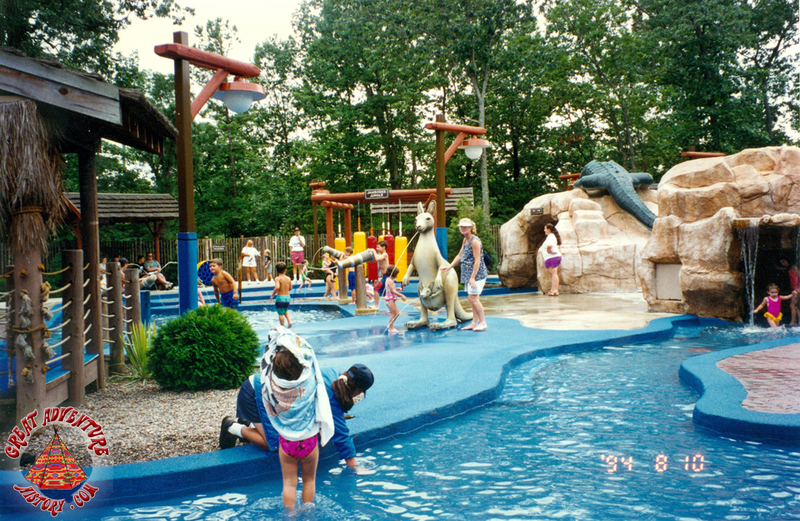 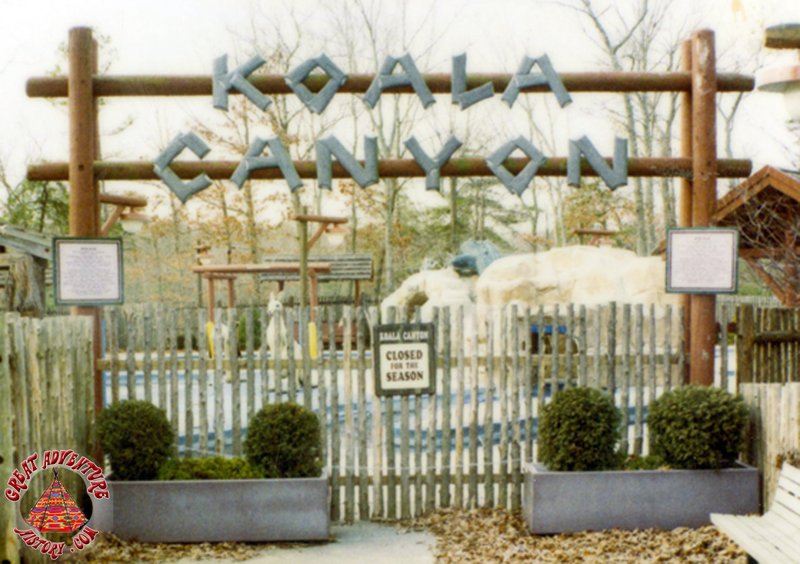 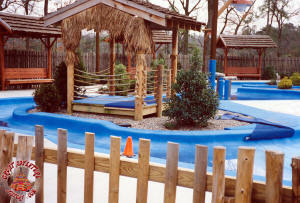 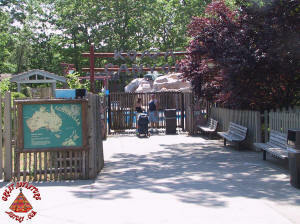 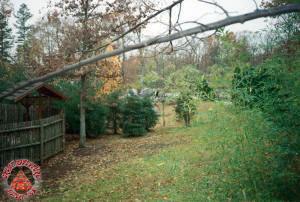 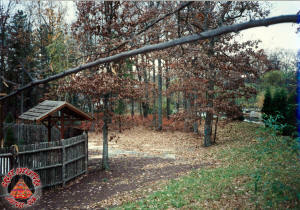 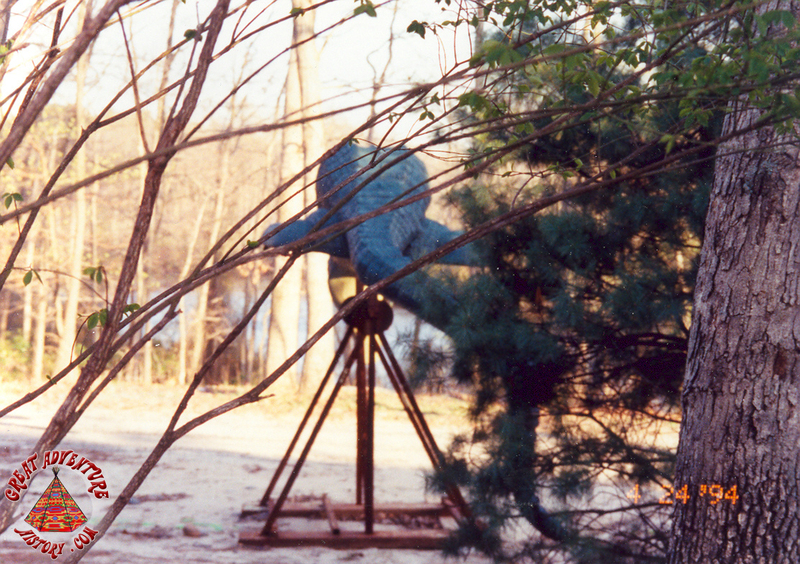 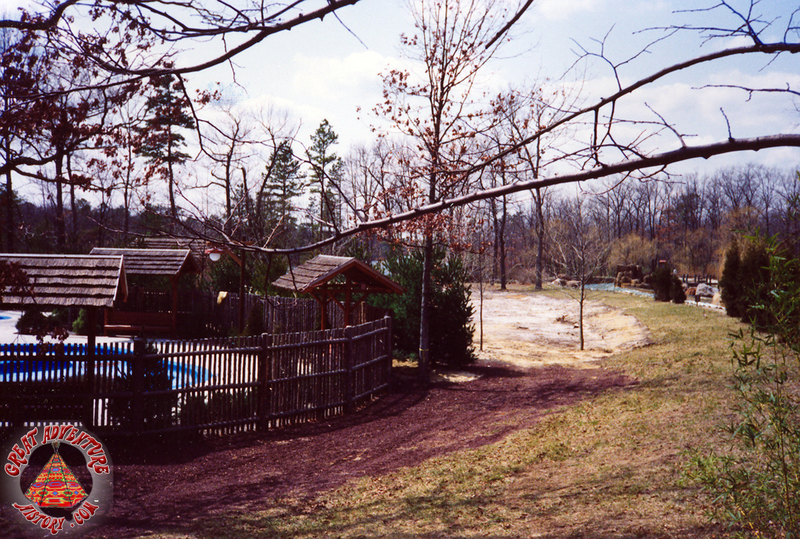 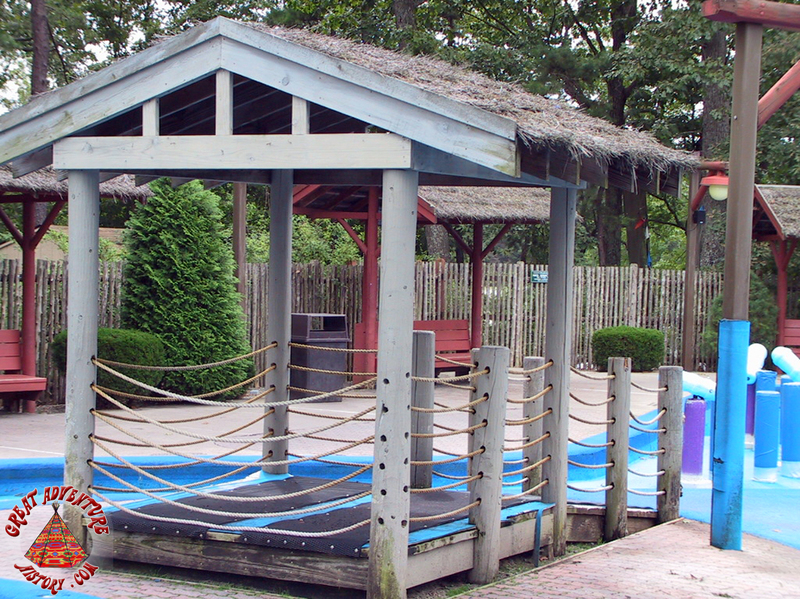 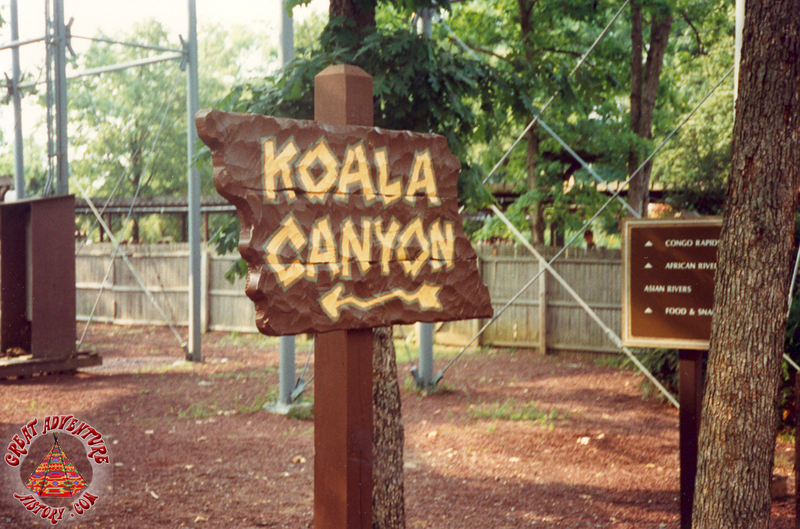 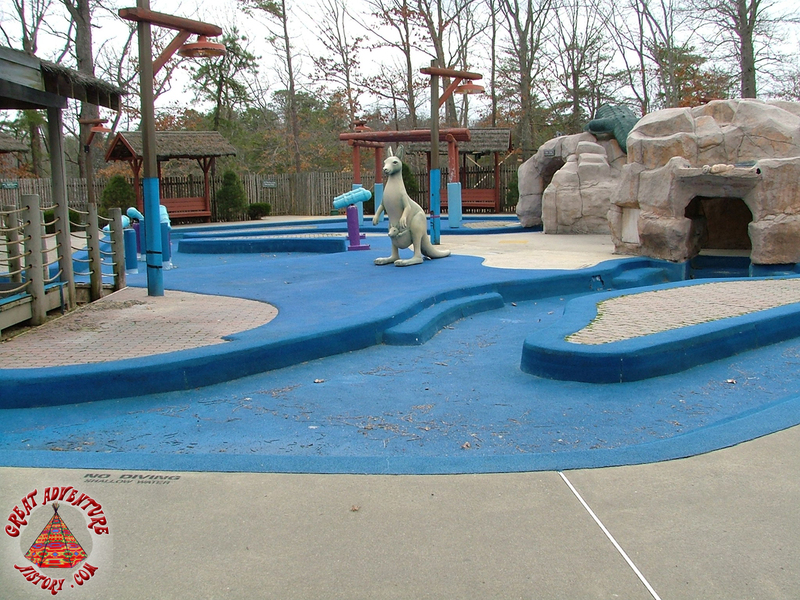 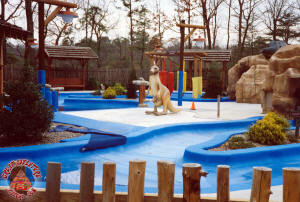 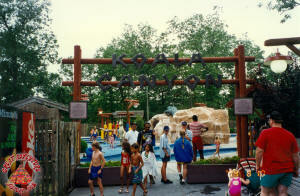 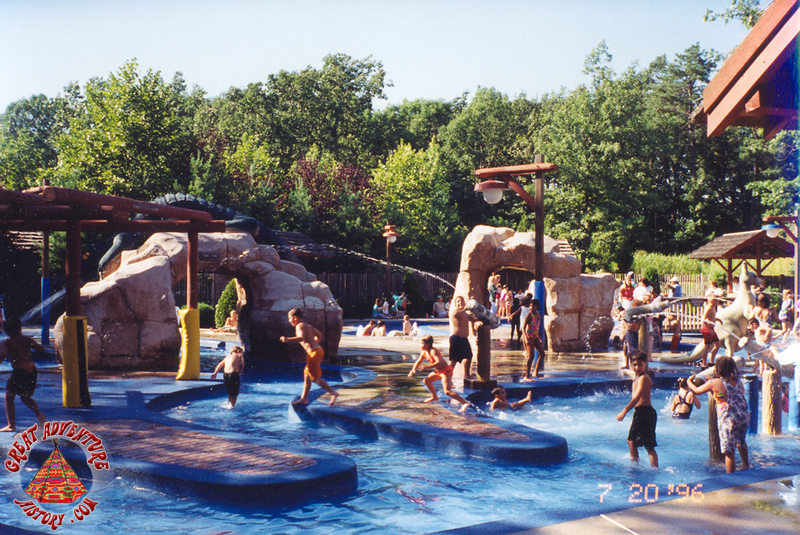 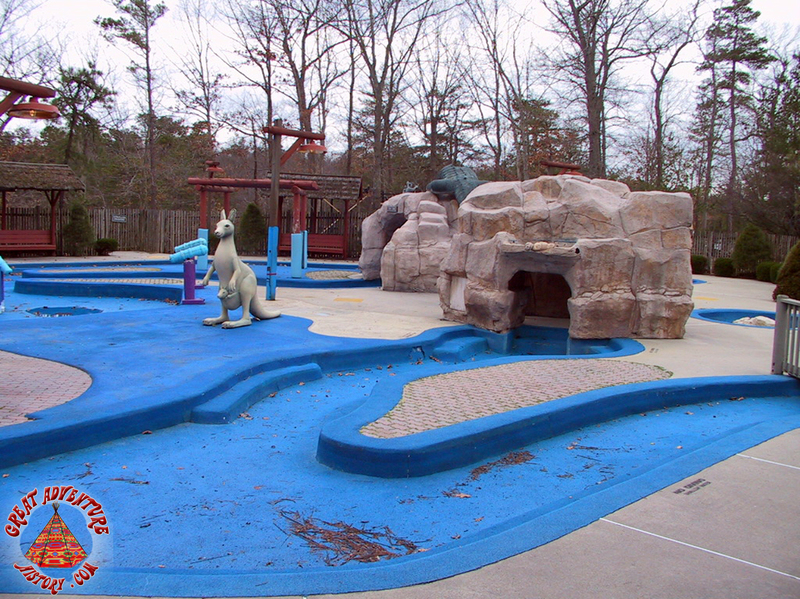 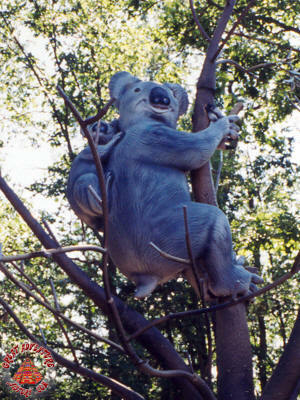 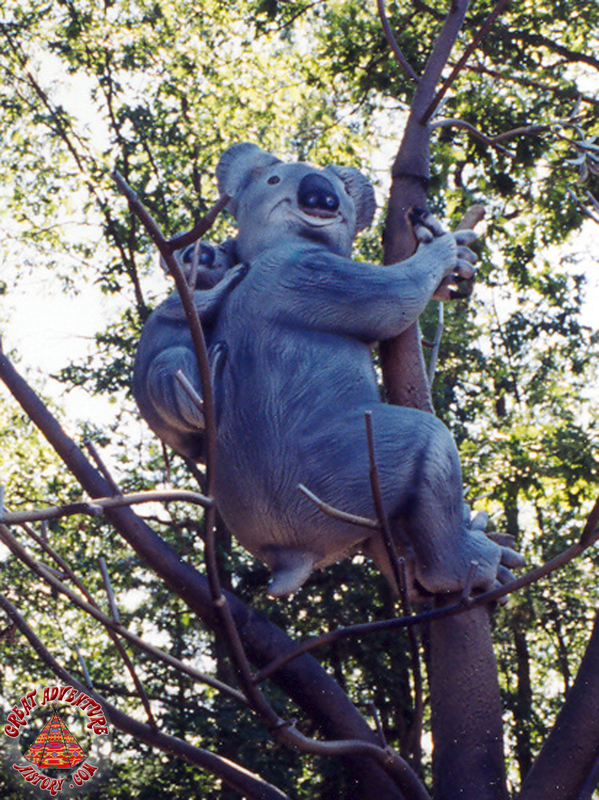 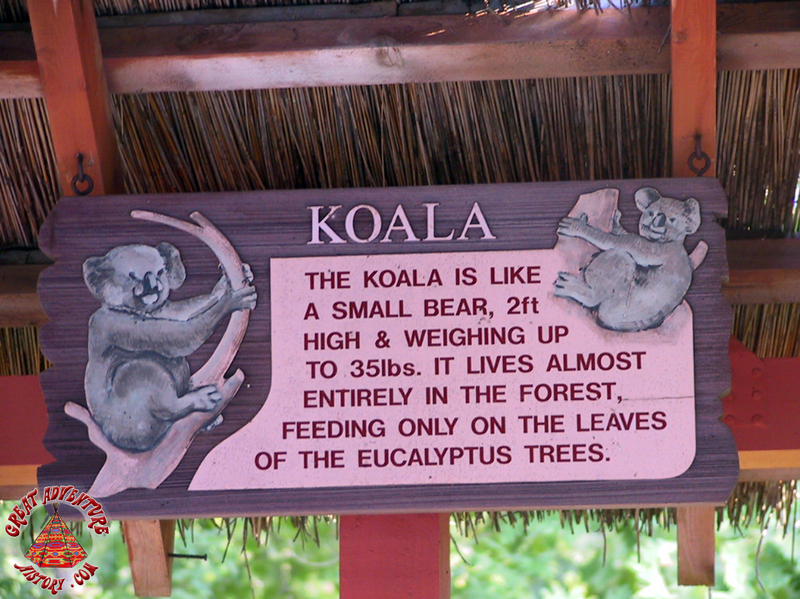 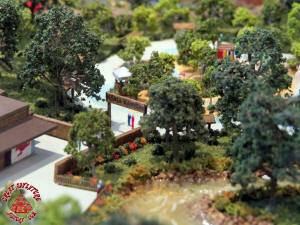 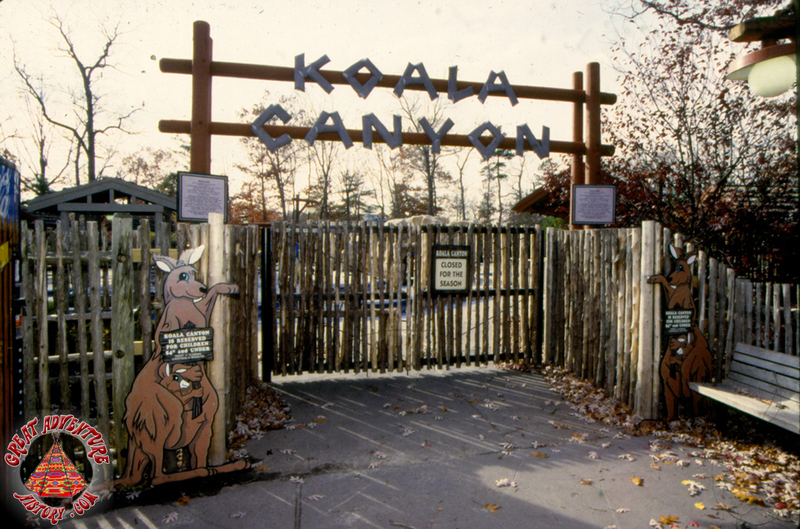 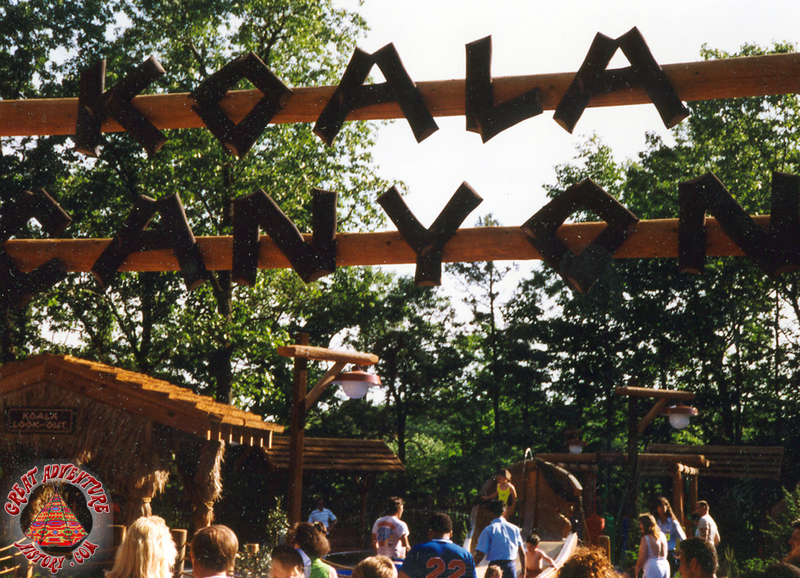 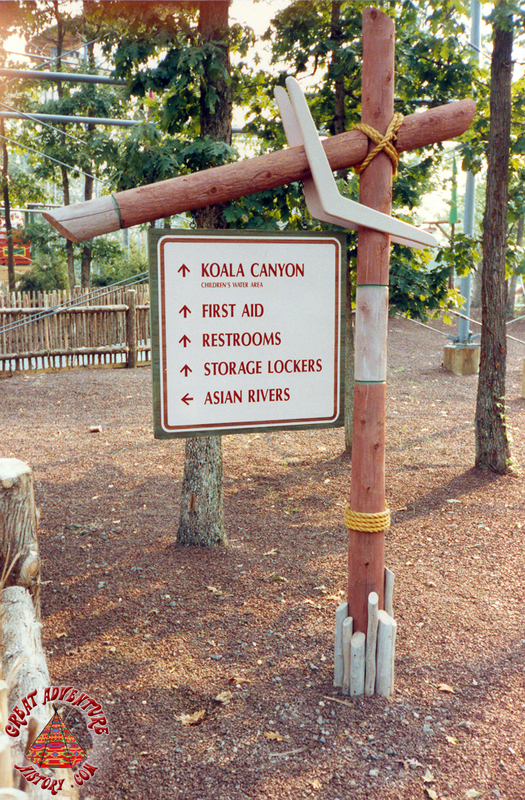 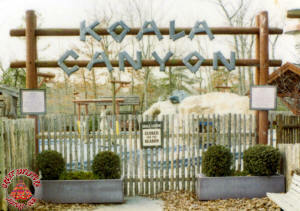 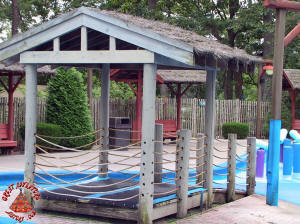 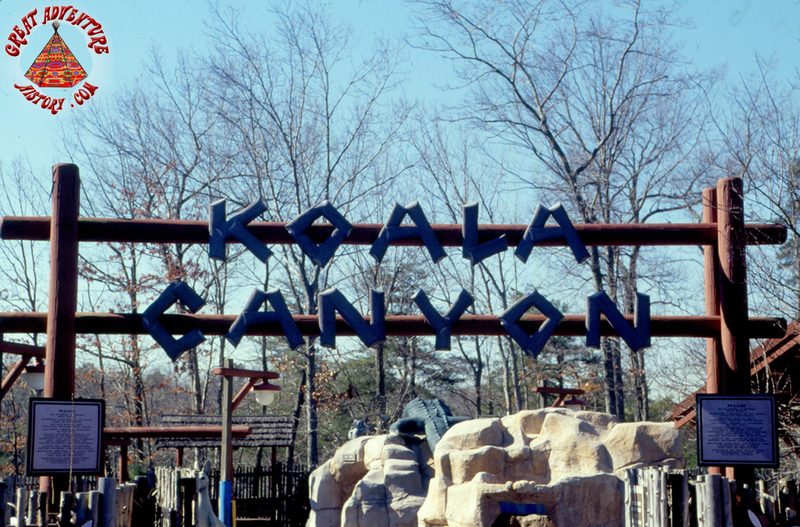 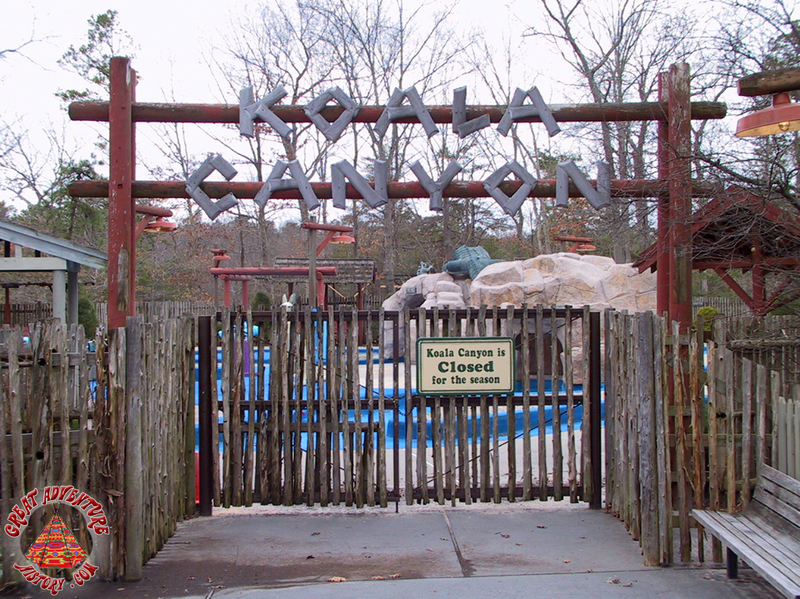 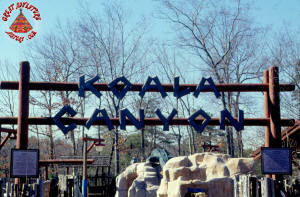 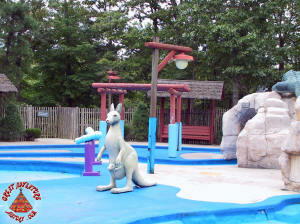 Original Adventure Rivers' plans called for Koala Canyon to be located near the entrance to the highly themed water slide area, but when constructed the new children's area was moved from the front entrance to the very back of Adventure Rivers along the banks of the park's rapids ride. 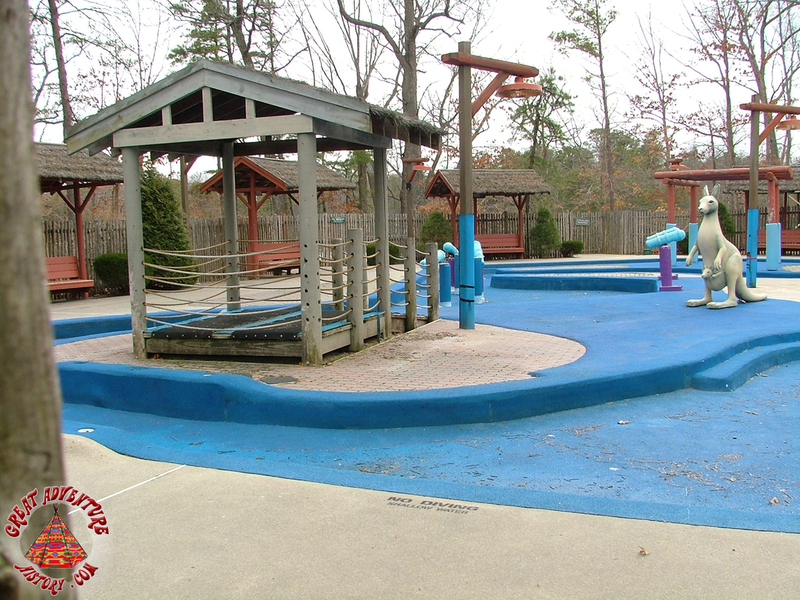 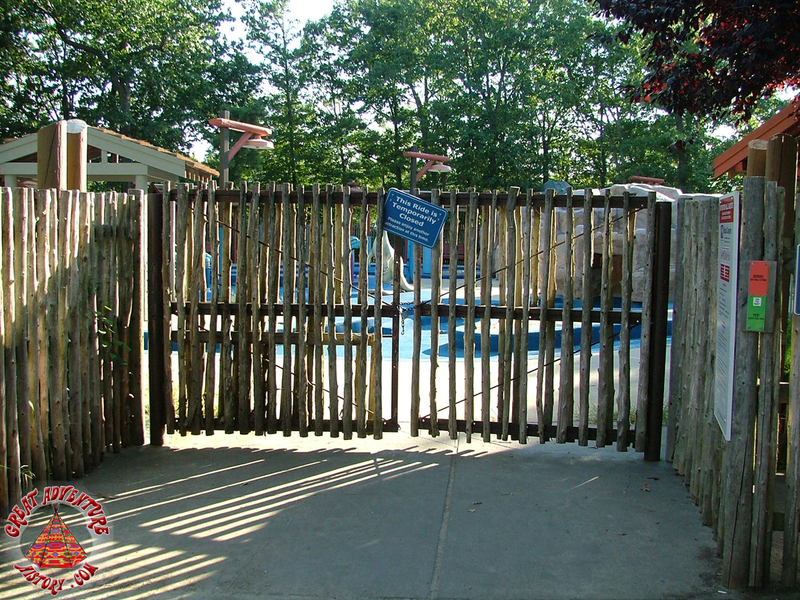 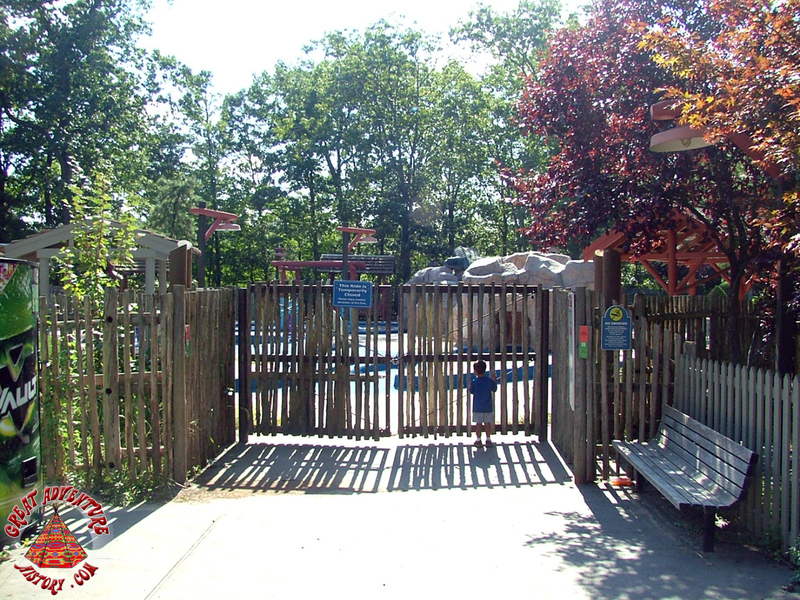 The reason for the change of plans is unclear, but it was probably in part to keep the water playground a little more secluded with a single entrance and exit which kept small children in for parents, as well as helping to keep older kids and teens out for their safety. 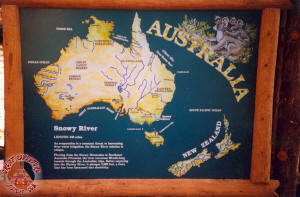 Koala Canyon's Snowy River offered a shallow wading area varying in depth from six to ten inches surrounding a central island. 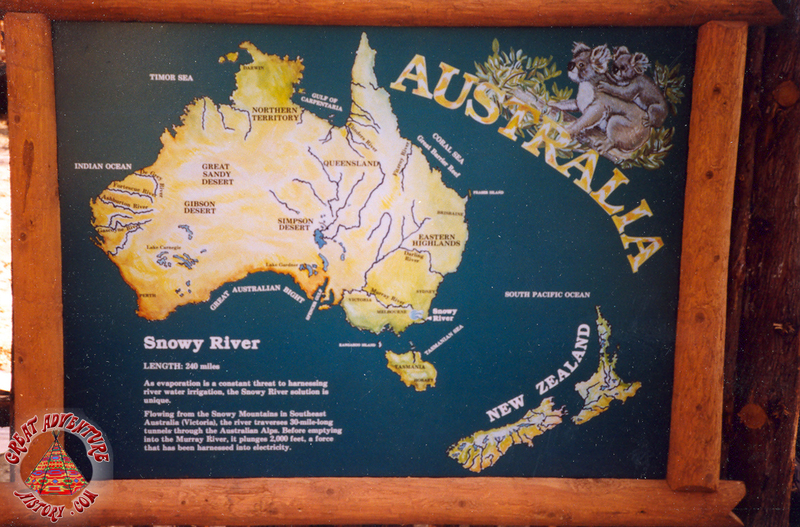 While the real Snowy River meanders from the Snowy Mountains in Southeast Australia for some 240 miles, the Koala Canyon version was a much shorter 500 feet. 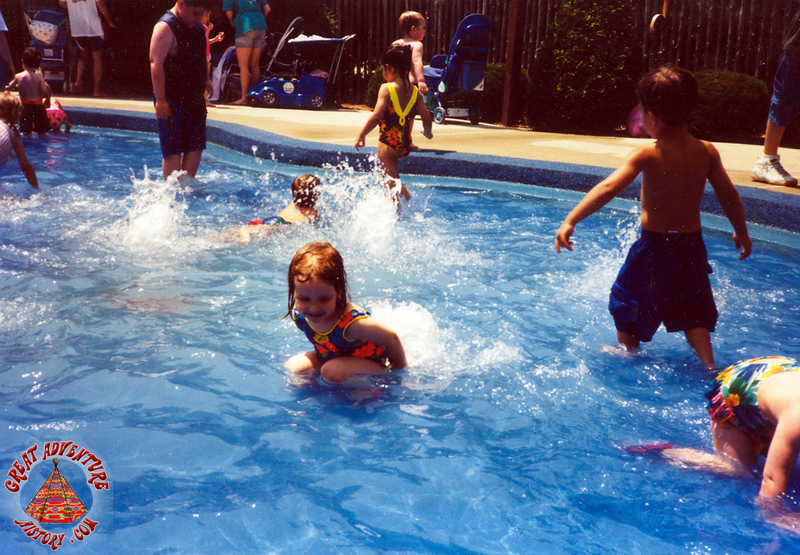 It featured a soft padded bottom with rubber padded wall edging making it safe for the little ones to splash and play on hot summer days. 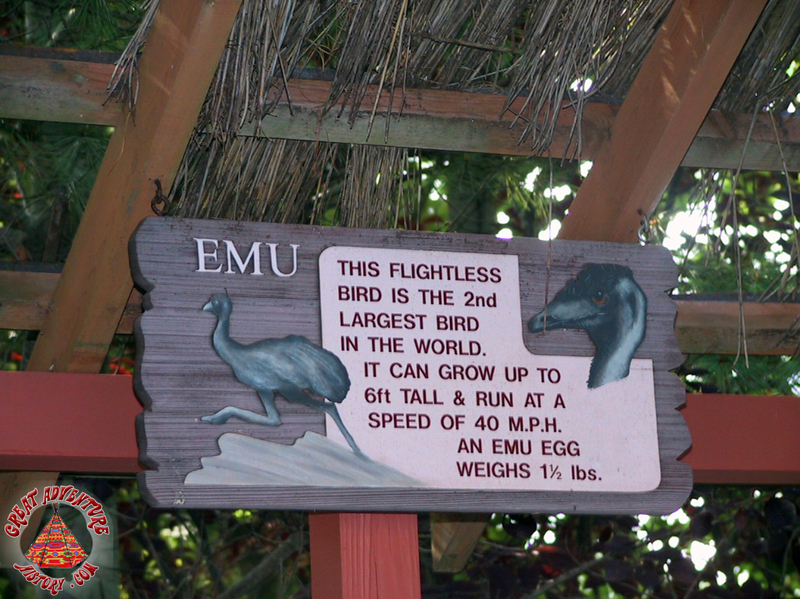 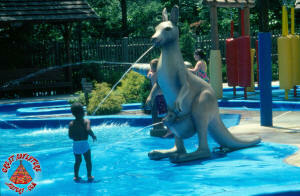 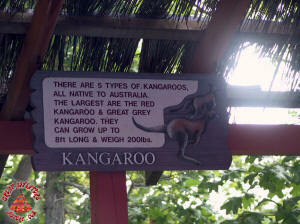 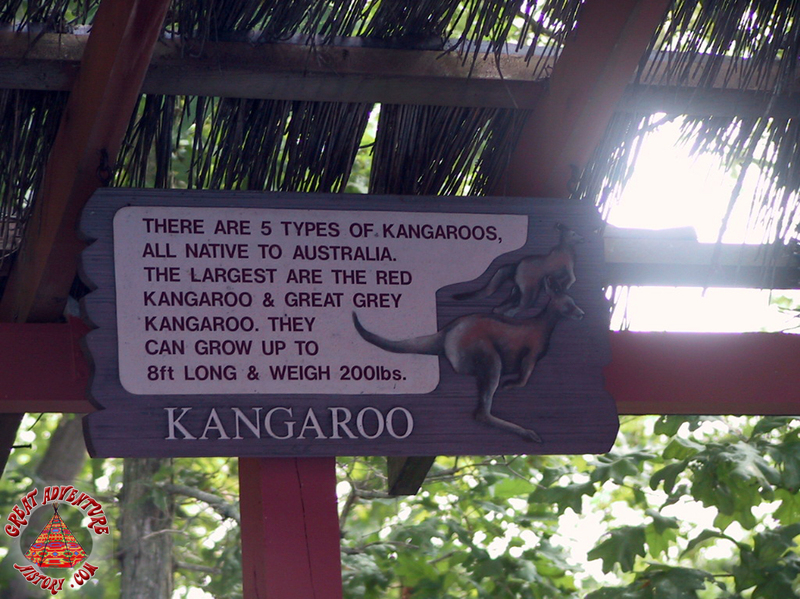 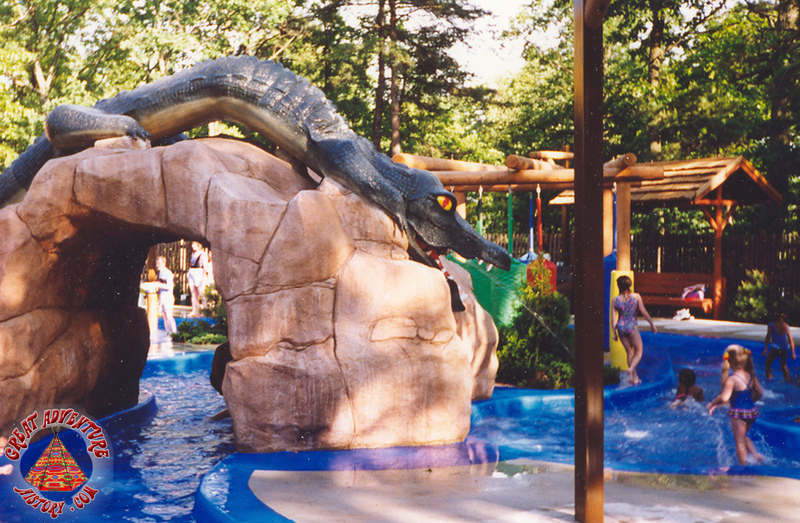 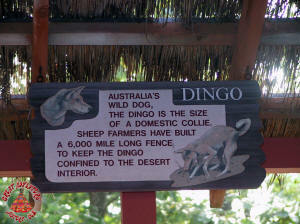 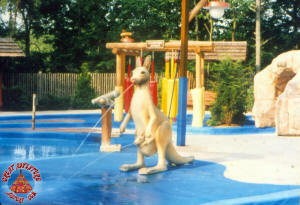 Numerous Australian themed elements dotted the area to make children feel as if they were actually in Australia. 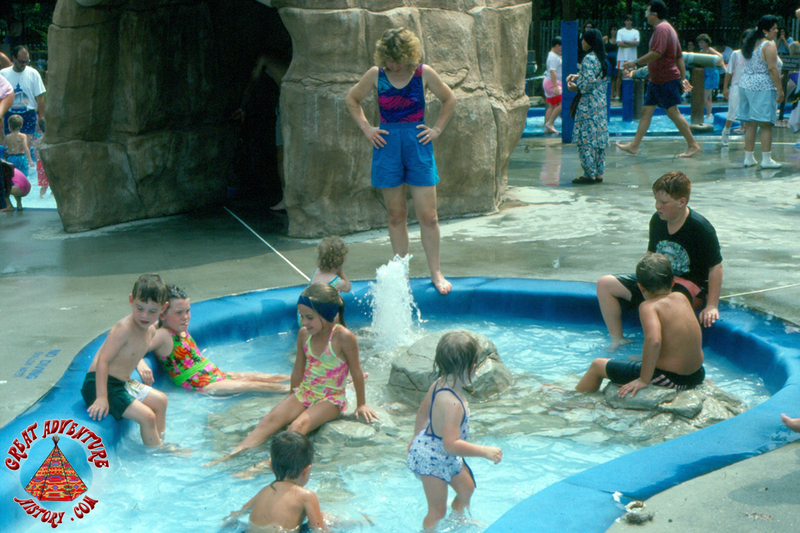 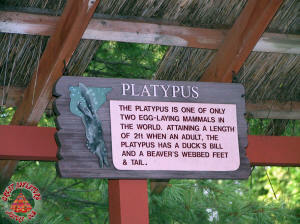 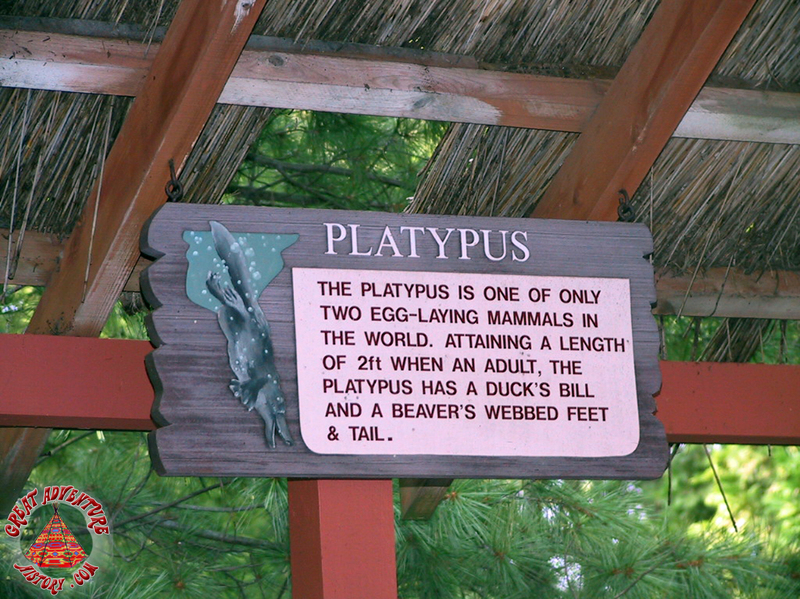 Platypus Pond featured a shallow wading pole with air jets that created bubbling water. 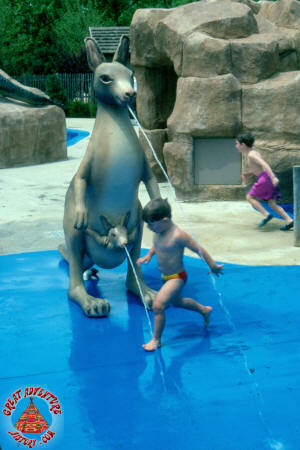 Kangaroo Falls had a continuously flowing waterfall over simulated rock formations which included an explorer's cave. A shipwreck slide called Freemantle Boat was a popular attraction even though it was just a few feet long. 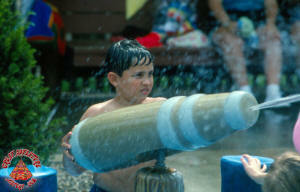 Captain Cook's Cannons offered constant sprays of water from its padded water cannons in a corner of the area known as Sydney Harbor. 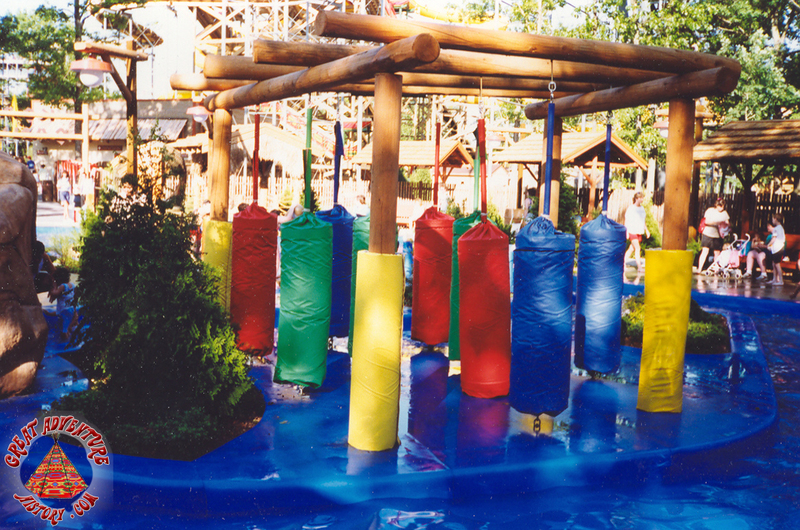 Elsewhere, Jamboree Jungle offered soft-padded punching bags suspended from above creating a maze like structure for children to play. 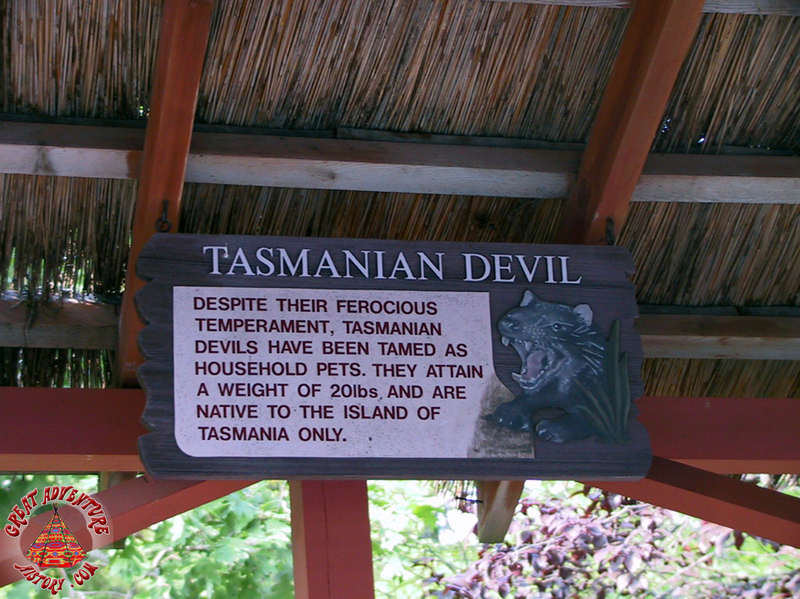 The Tasmanian Twister area was a shallow wading pool where jets of water created a gentle whirlpool. And probably the most impressive feature of the area was Old One-Eye Old Saltie - a two ton water spraying crocodile perched on top of his own rocks overlooking Croc Cove. 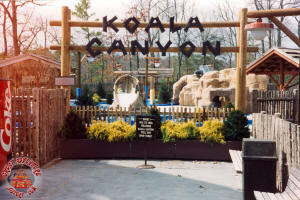 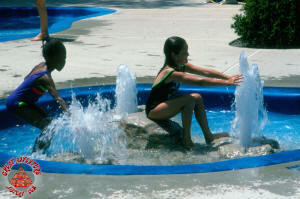 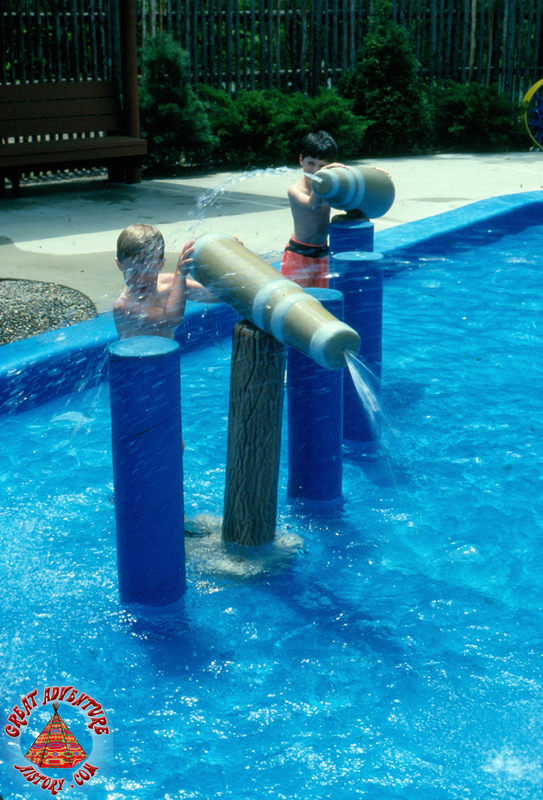 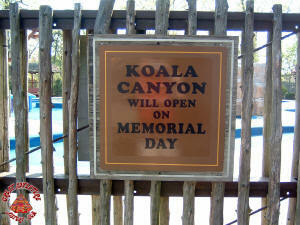 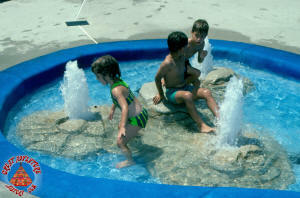 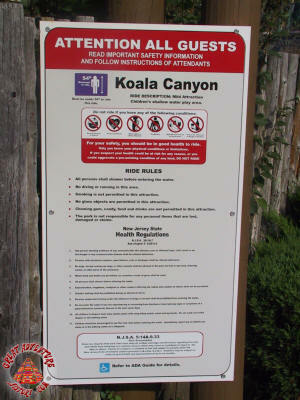 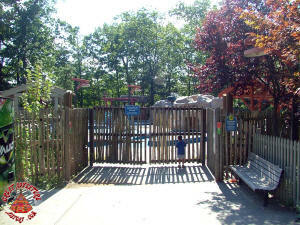 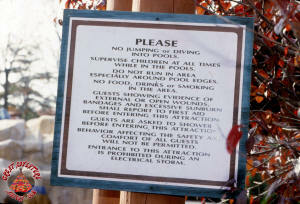 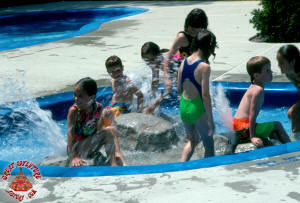 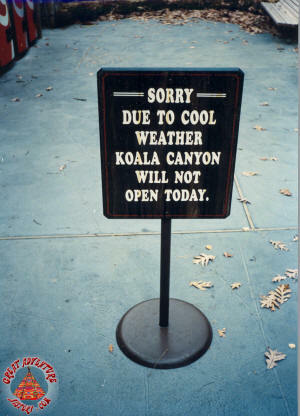 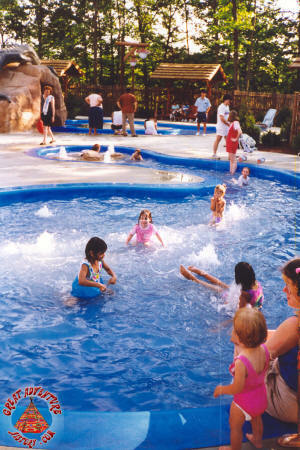 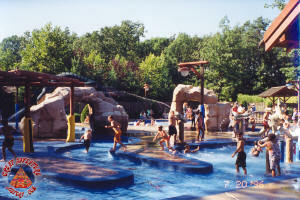 Being a water based play area, Koala Canyon had a very short season generally running from Memorial Day to Labor Day. 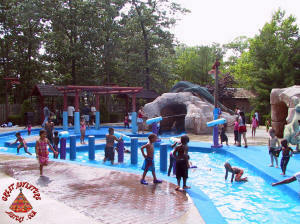 Nevertheless, the area was a big success, drawing families looking to cool off and have some splashy fun. 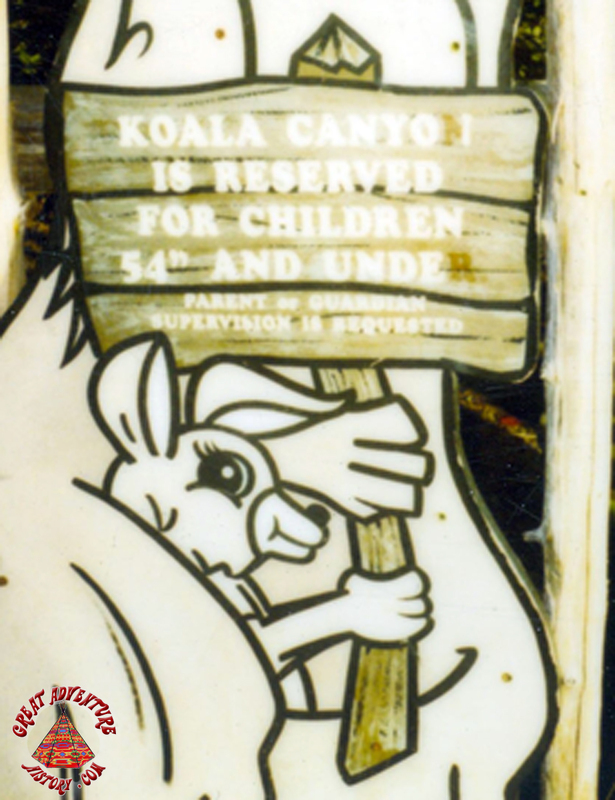 Koala Canyon allowed children to play in the cool refreshing water, parents to relax on one of the many thatch covered benches that encircled the area, and everyone to learn more about Australia with many informative signs and props located within the attraction. 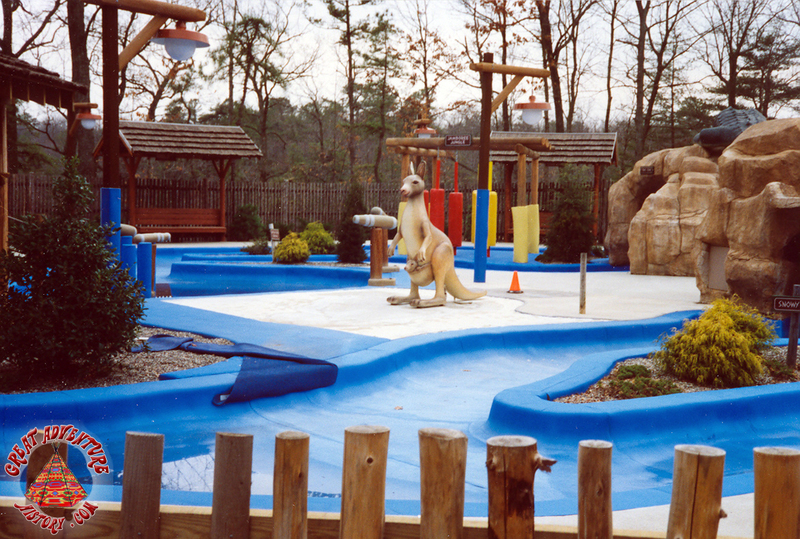 For the 1999 season, all of the dry water slides were removed from Adventure Rivers as the section of the park was turned into Looney Tunes Seaport. 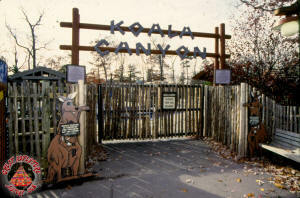 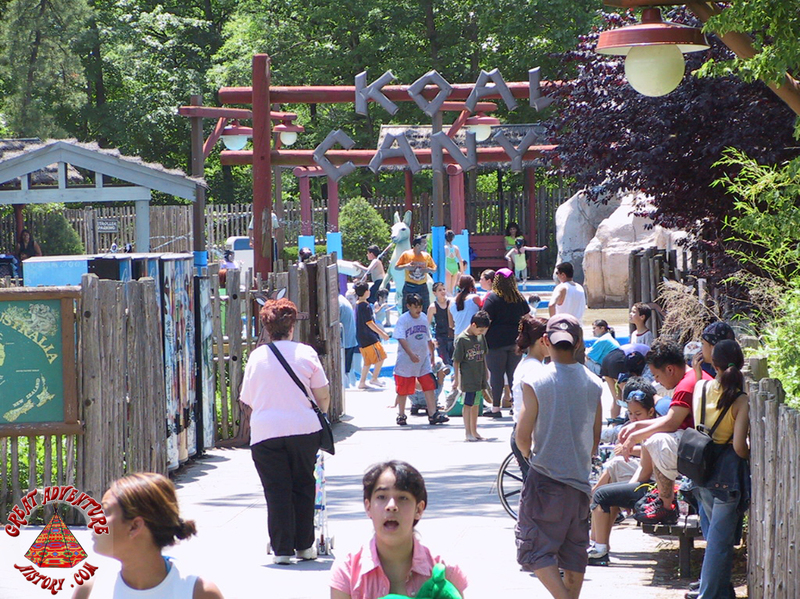 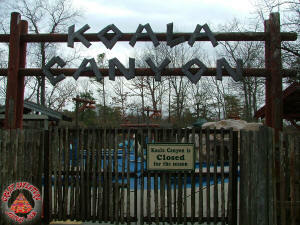 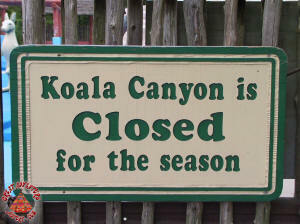 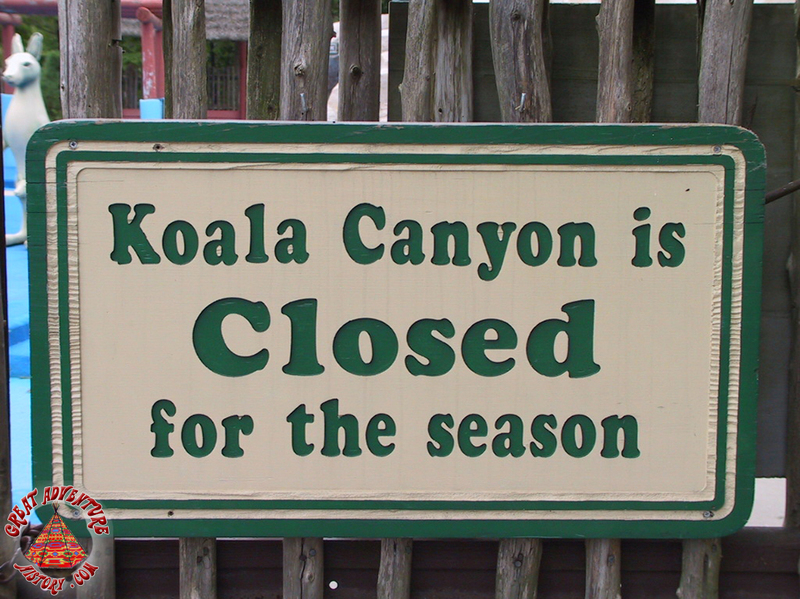 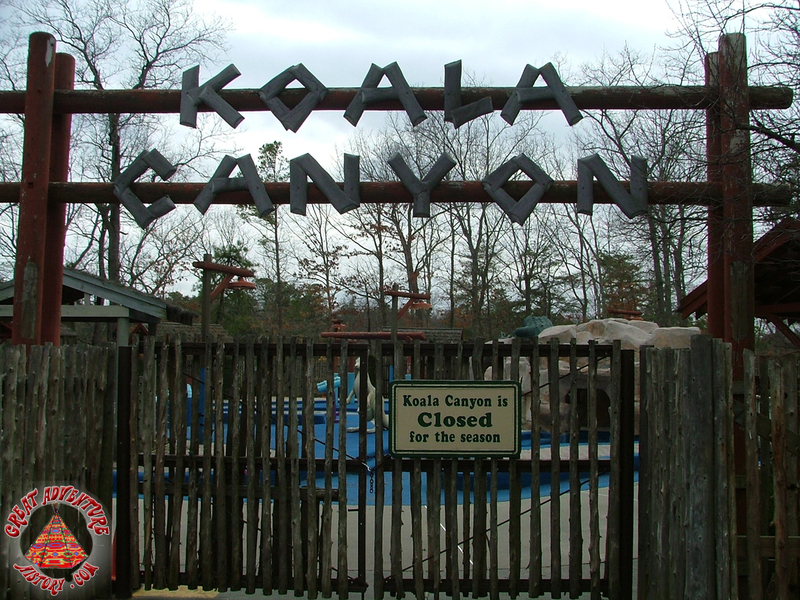 Initial plans called for Koala Canyon to be transformed into Bugs Bunny Bay, but the Koala Canyon area and name stayed the same for several more seasons, finally being removed at the end of 2006. 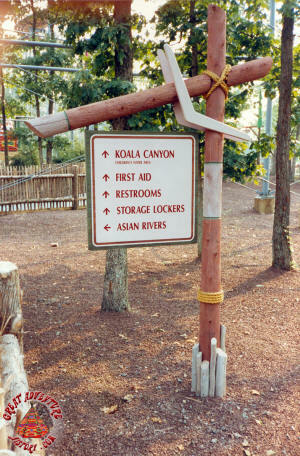 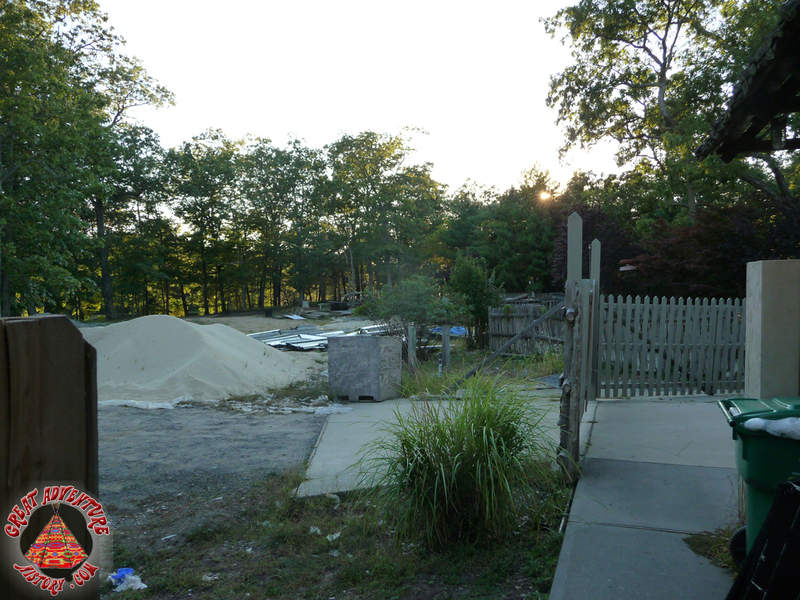 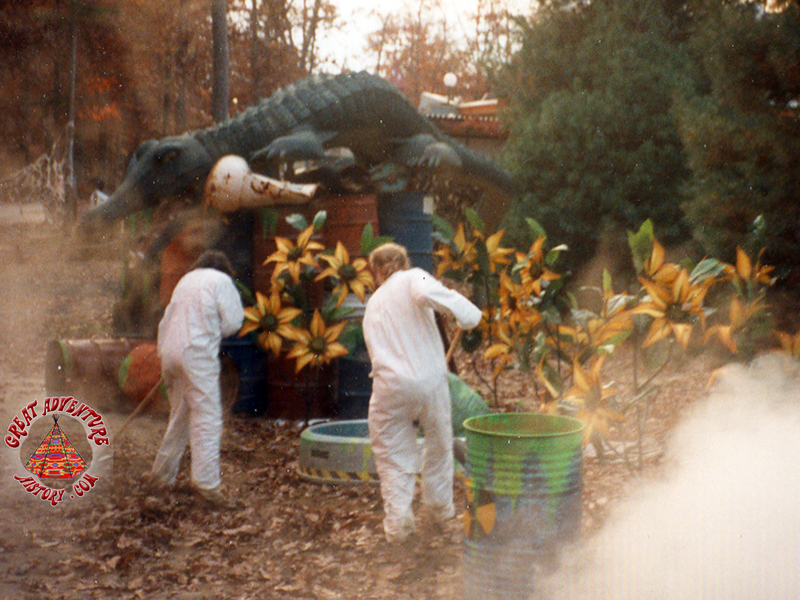 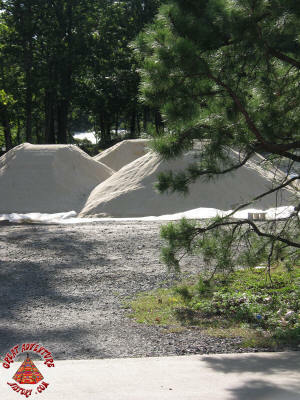 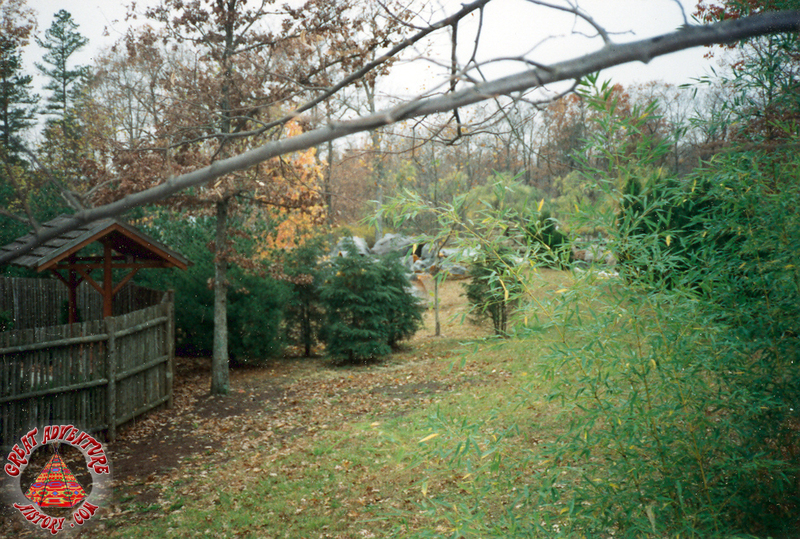 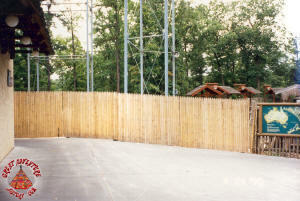 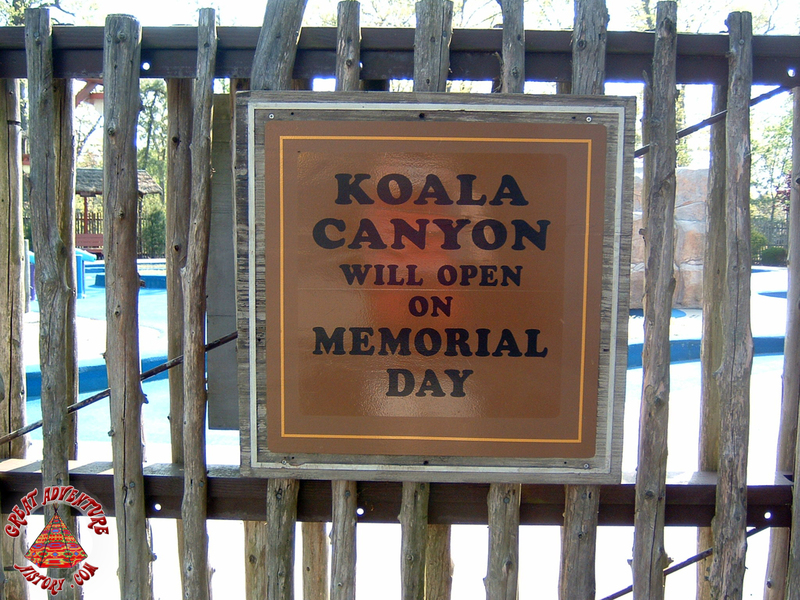 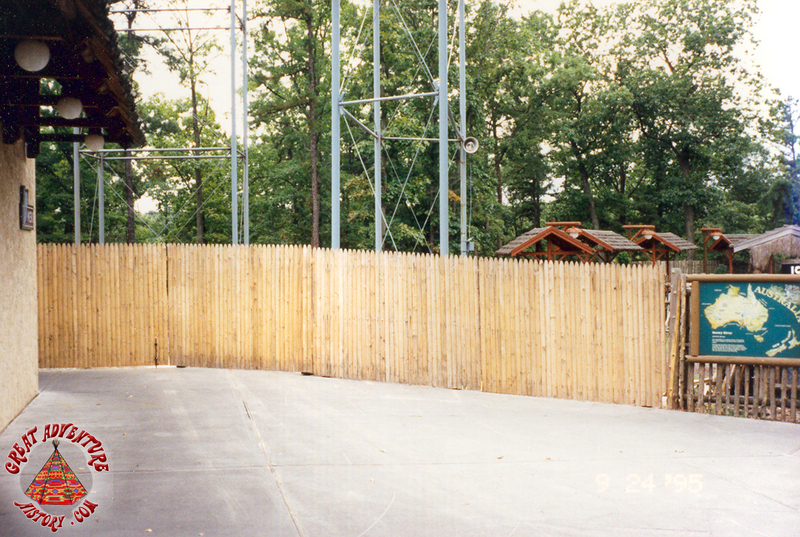 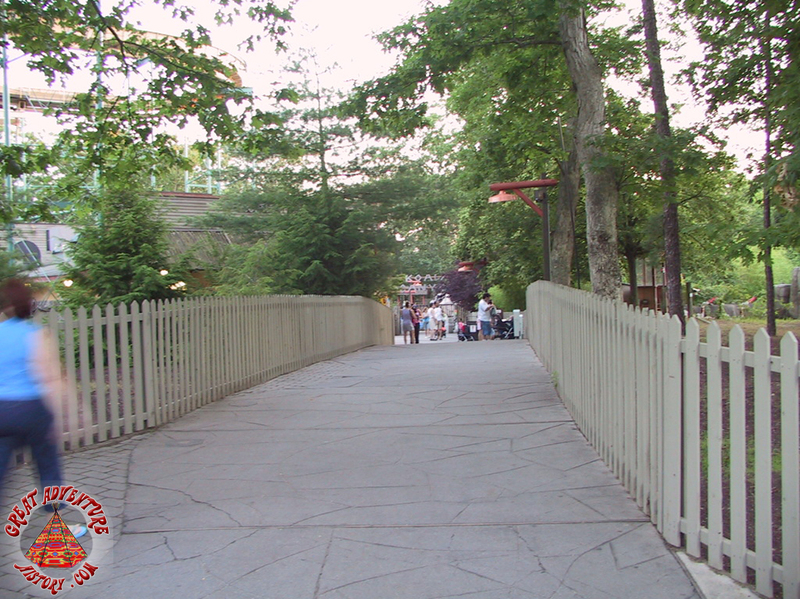 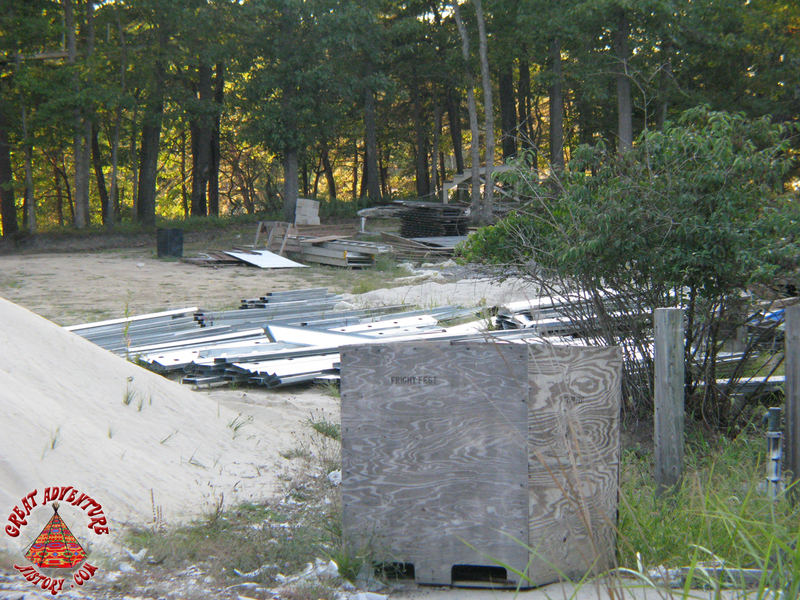 Today the site of Koala Canyon is a simple storage yard, out of sight of park guests except during Fright Fest when it can be viewed from one of the park's terror trails. 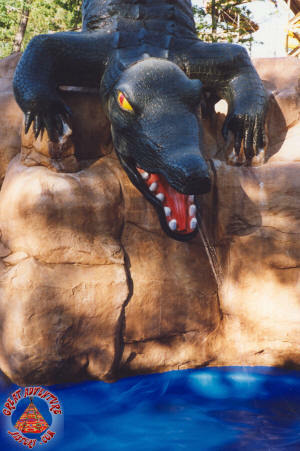 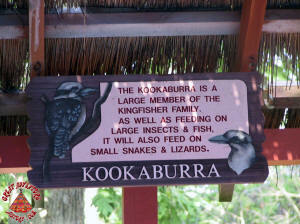 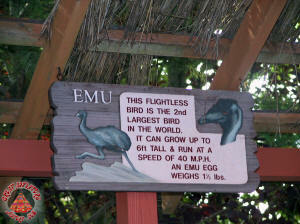 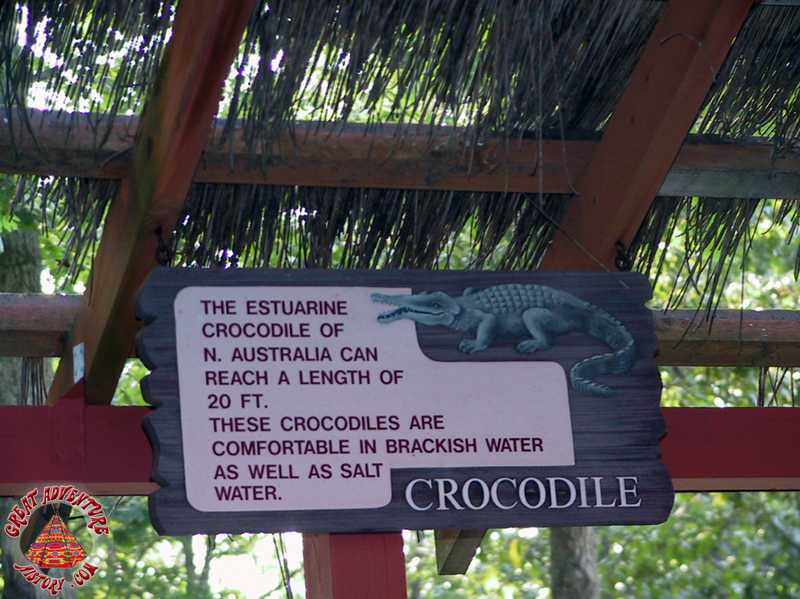 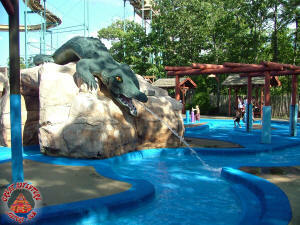 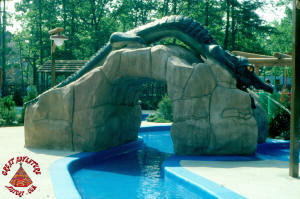 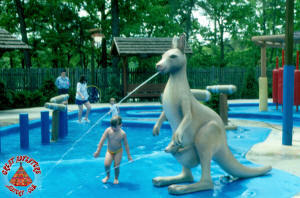 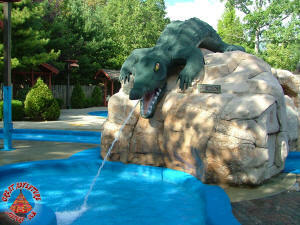 A second crocodile was fabricated for Koala Canyon but was never installed, probably due to last minute design changes. 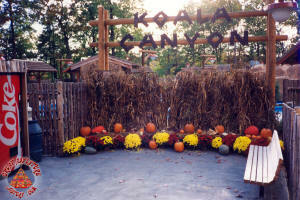 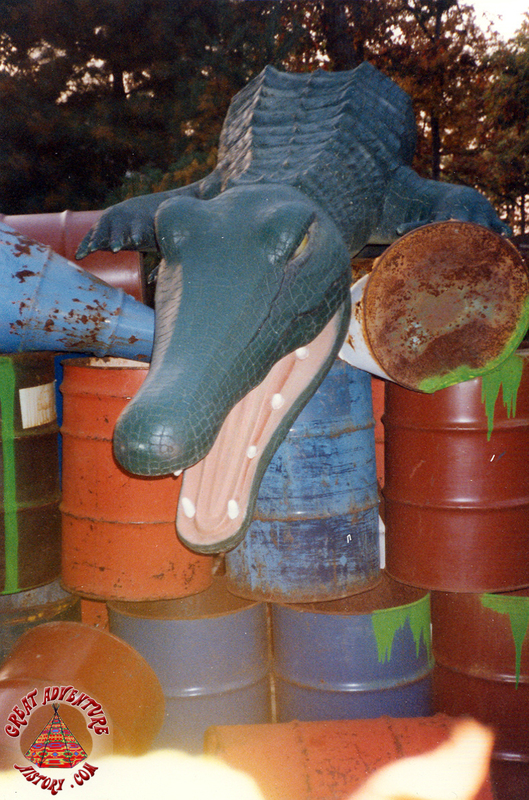 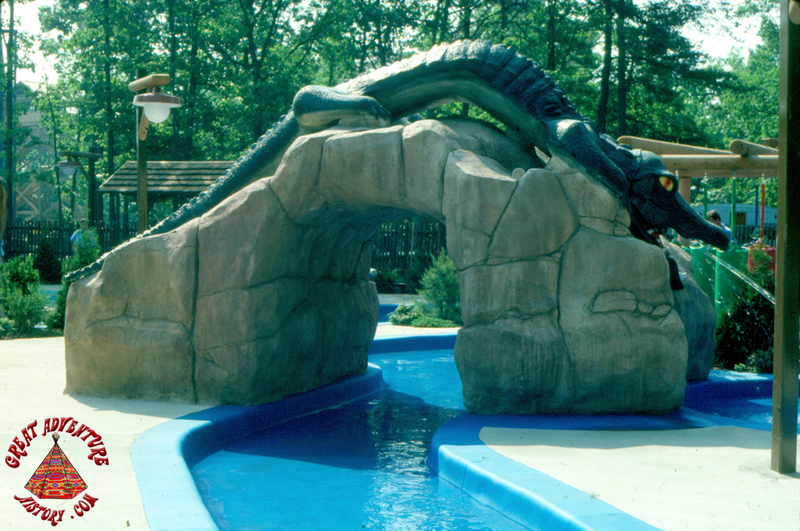 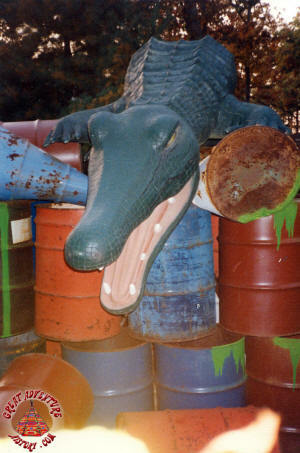 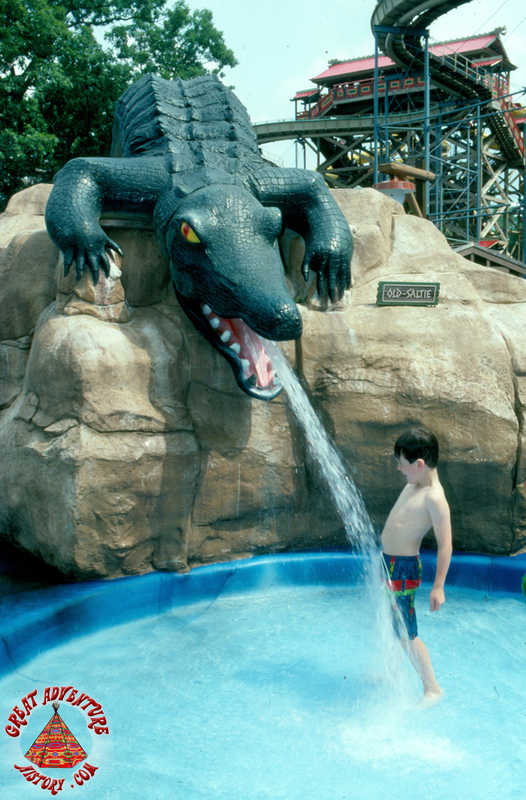 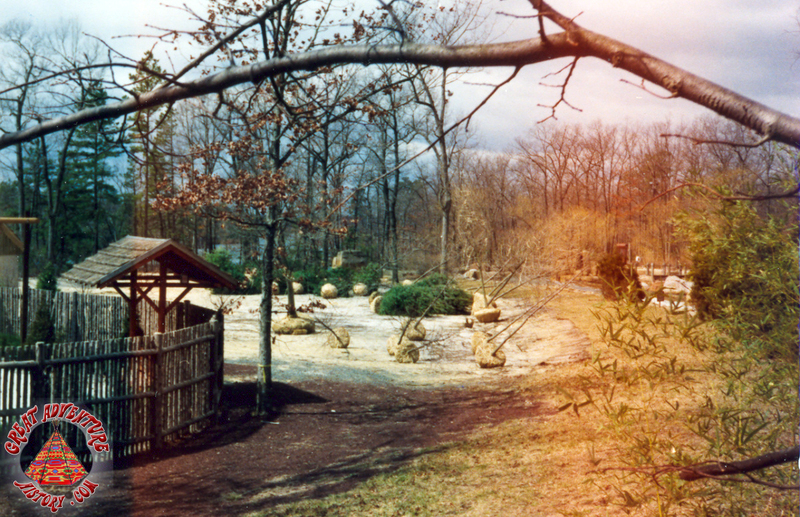 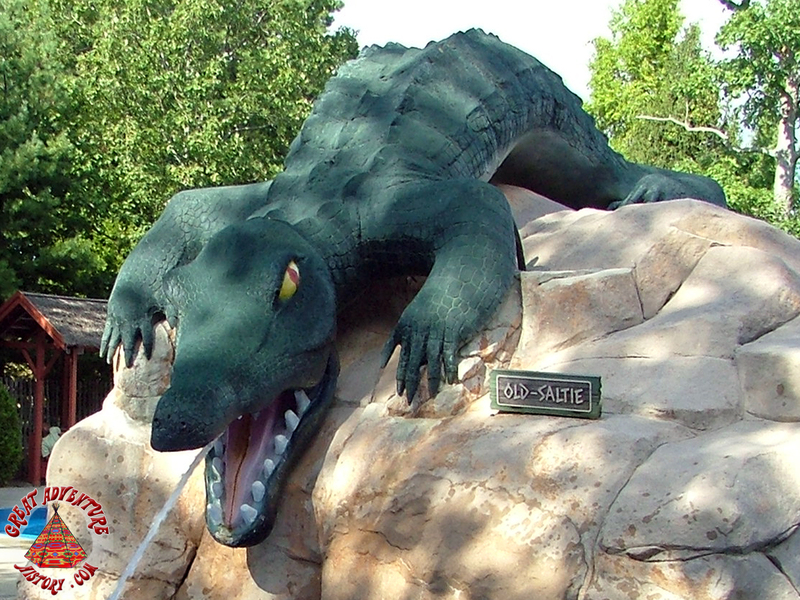 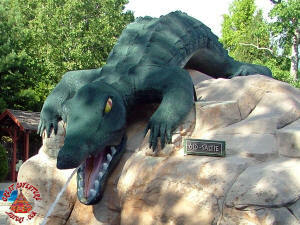 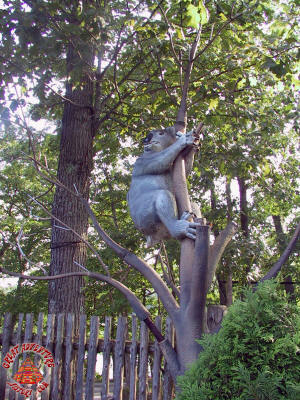 While the crocodile never was added to Koala Canyon, it was routinely used for many years as a part of Fright Fest in various haunt attractions like the Haunted Hayride.